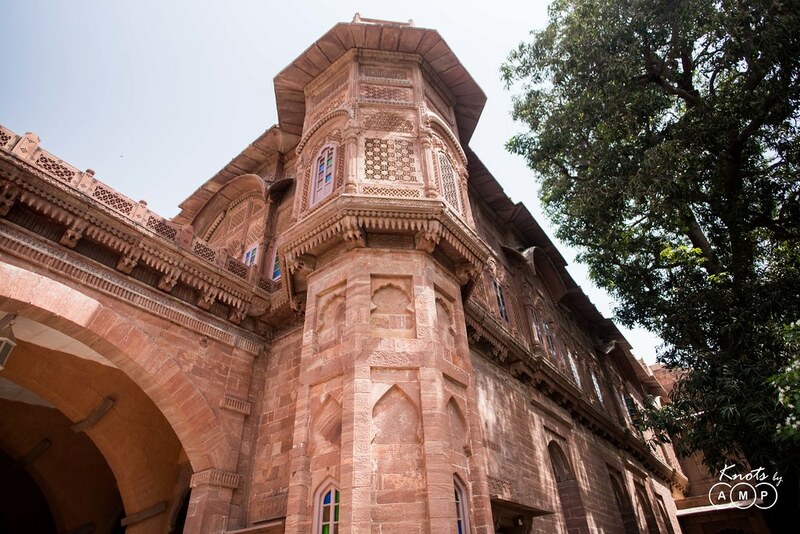 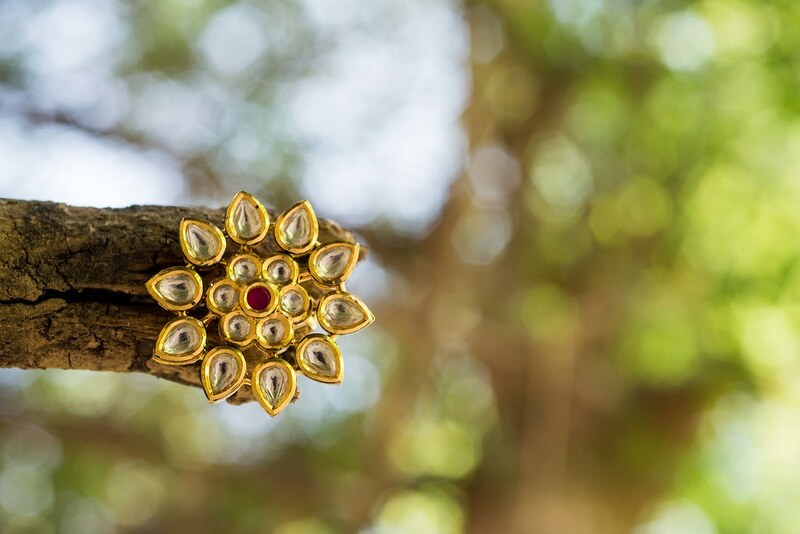 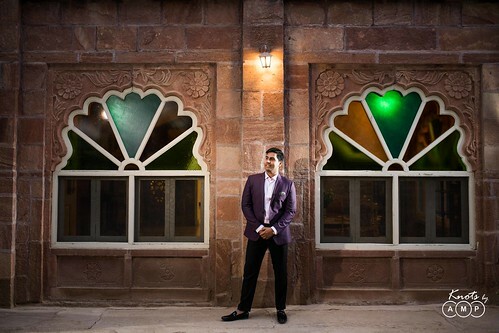 “Jodhpur, a stunning little town in Rajasthan which I get to call home, is full of old world charm and regality. 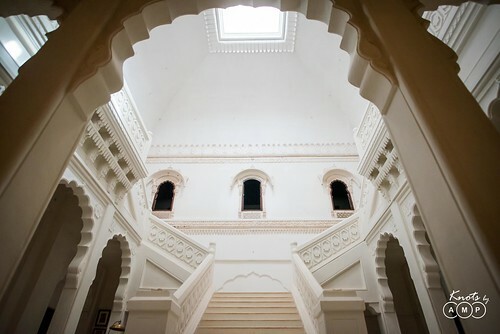 It was the easiest thing in the world to decide that this would be our wedding destination. 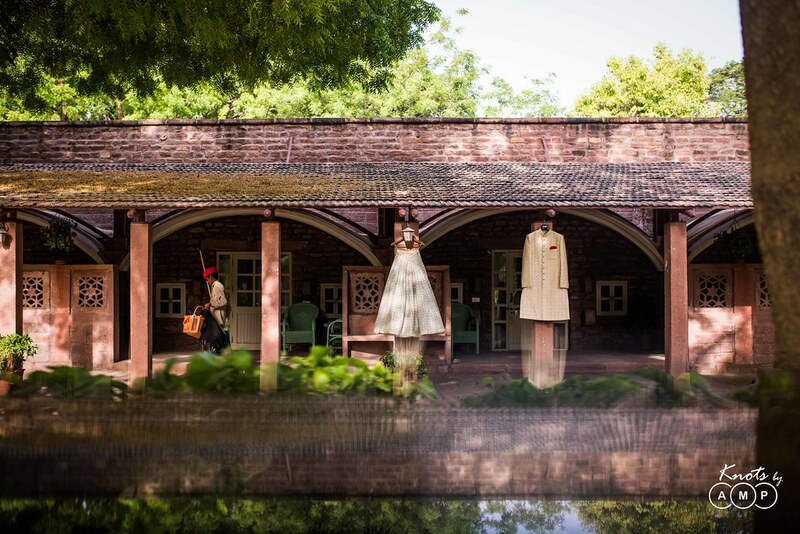 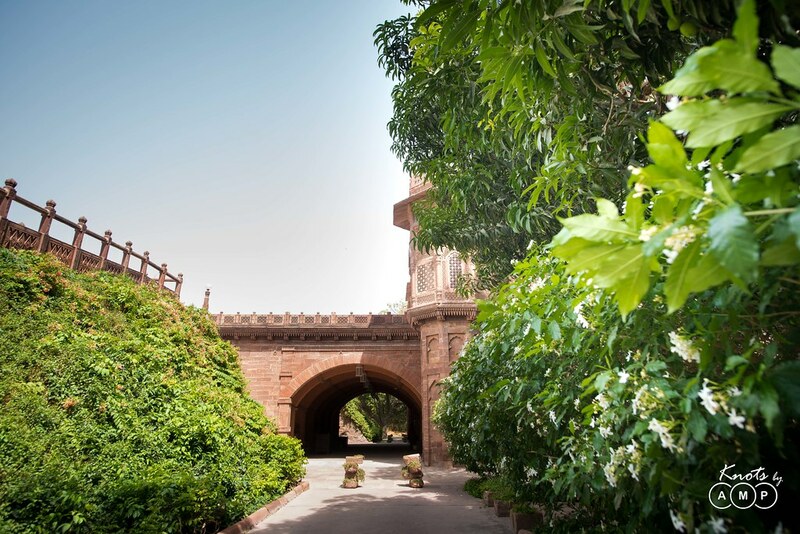 We fell in love with The Bal Samand Lake Palace and it’s sprawling lawns, incredible heritage and the warm Rajasthani hospitality. 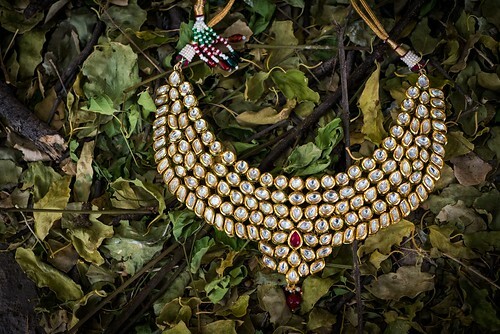 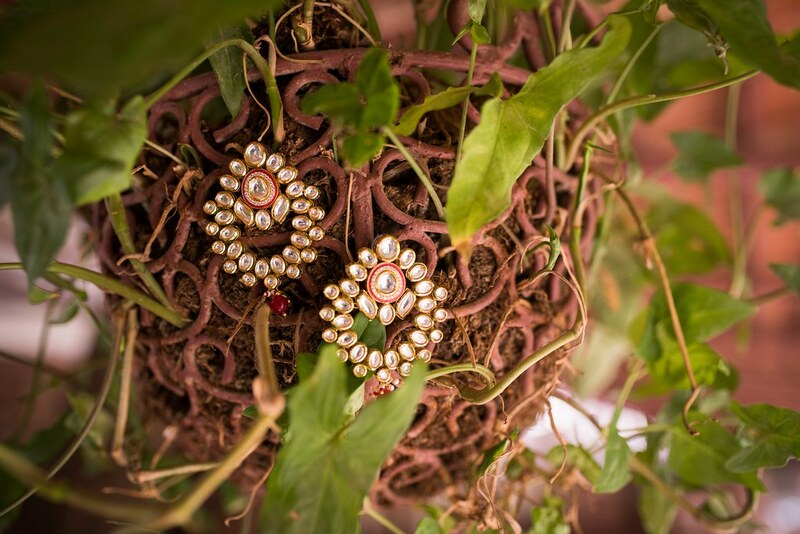 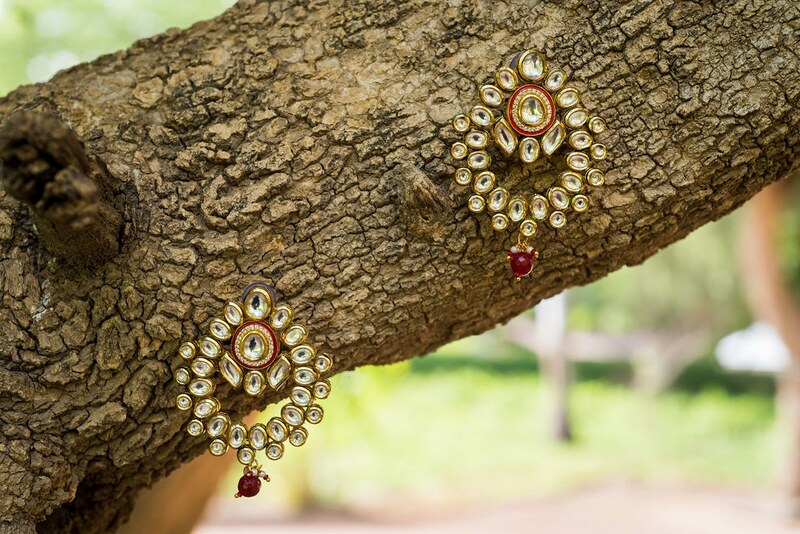 As aptly described by our dearest bride, we couldn’t help but agree to each and every thing. 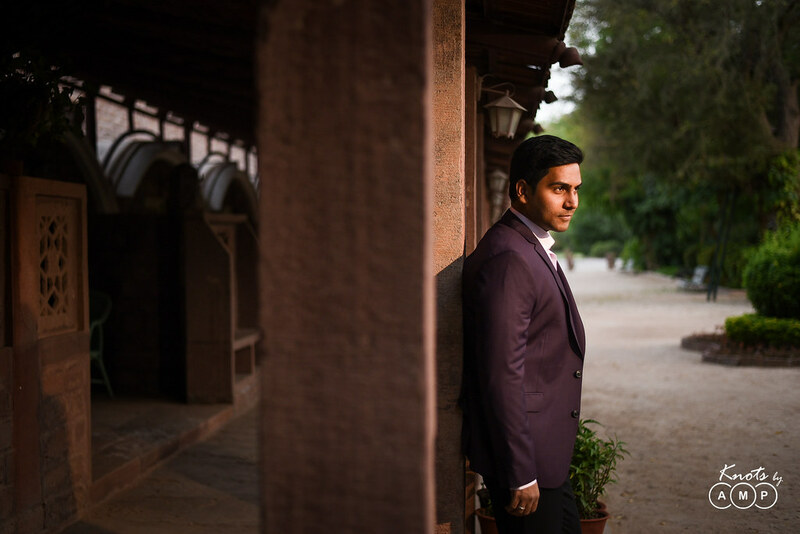 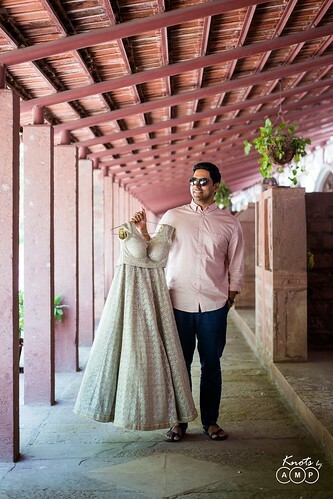 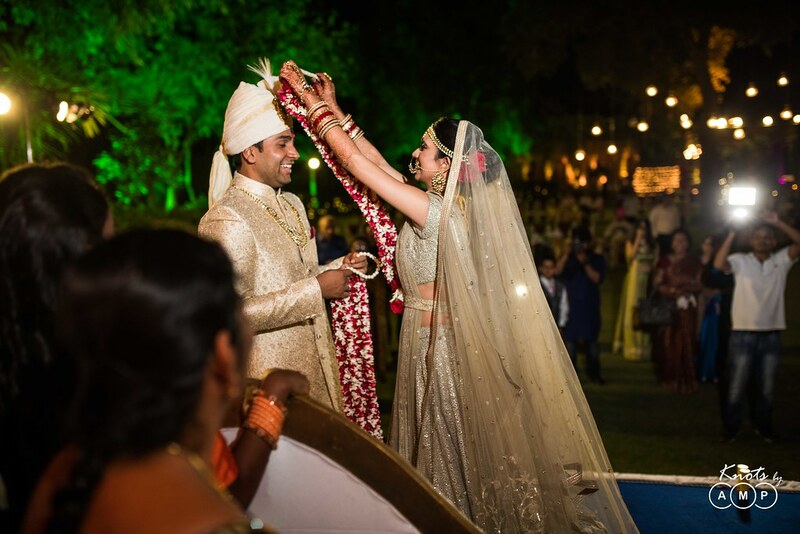 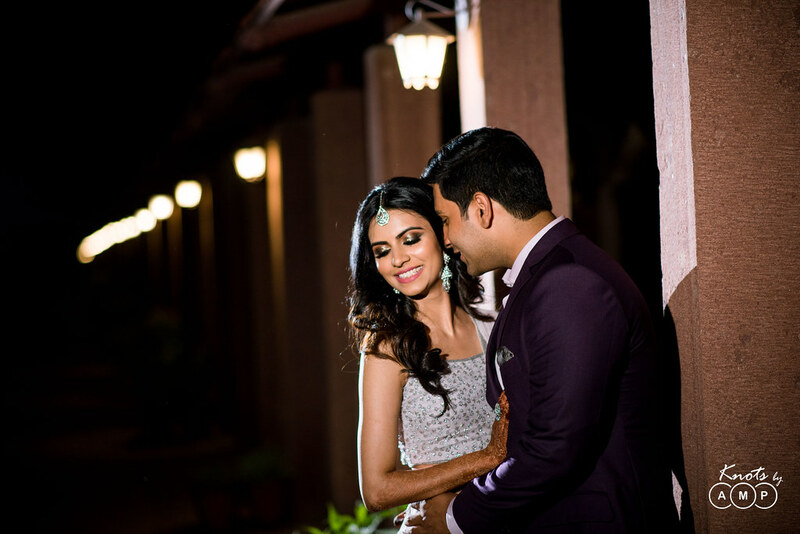 Before, we start with the wedding story of Abhilash & Richa, we feel this visual tour of the Bal Samand Lake Palace is essential. So here you go! 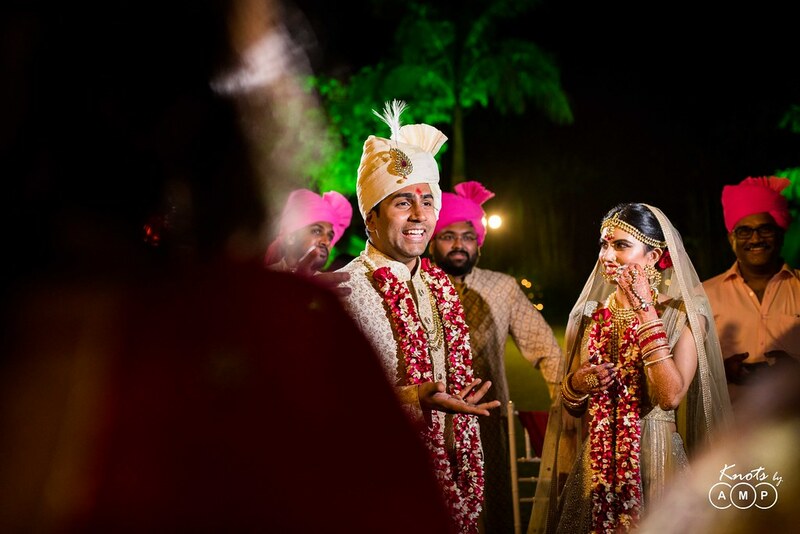 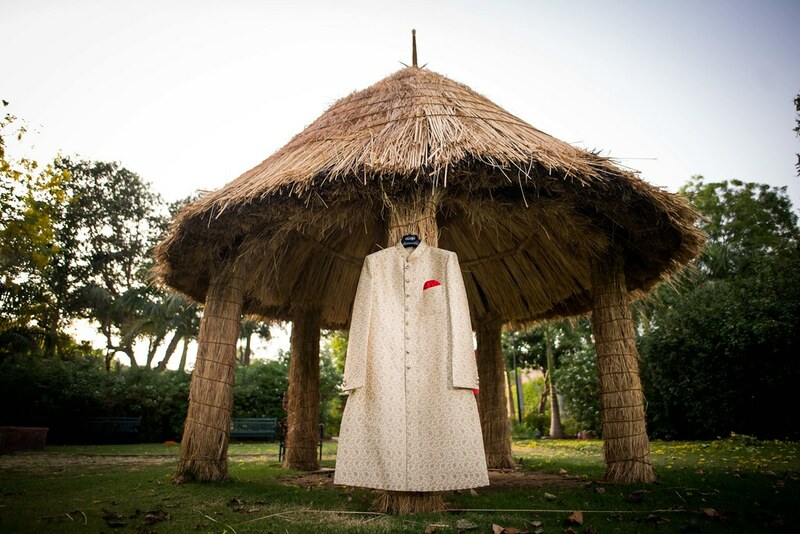 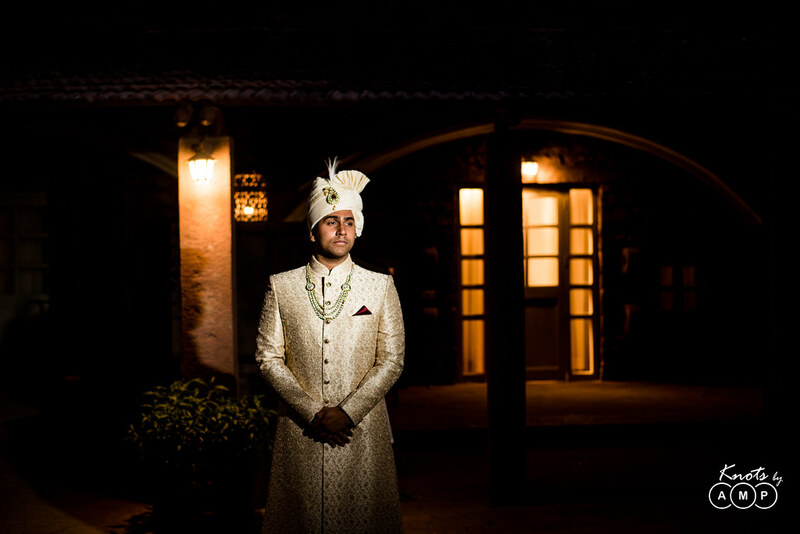 Abhilash, a fellow Bitsian got in touch with Anupam about an year ago for his wedding.  However, post the initial talks there was a long gap, due to busy schedules and stuff. 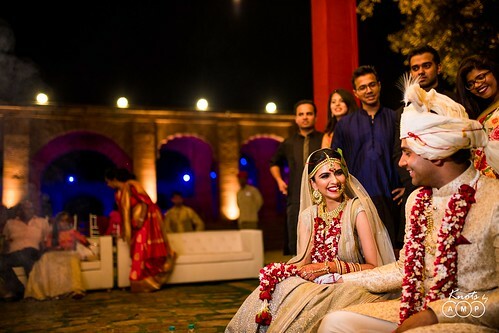 The talks resurfaced as both of them met at another bitsian wedding (Krishna-Akanksha) at Bangalore. 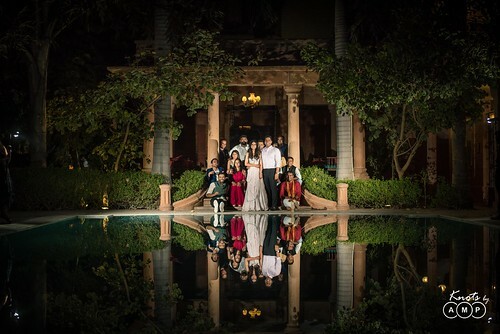 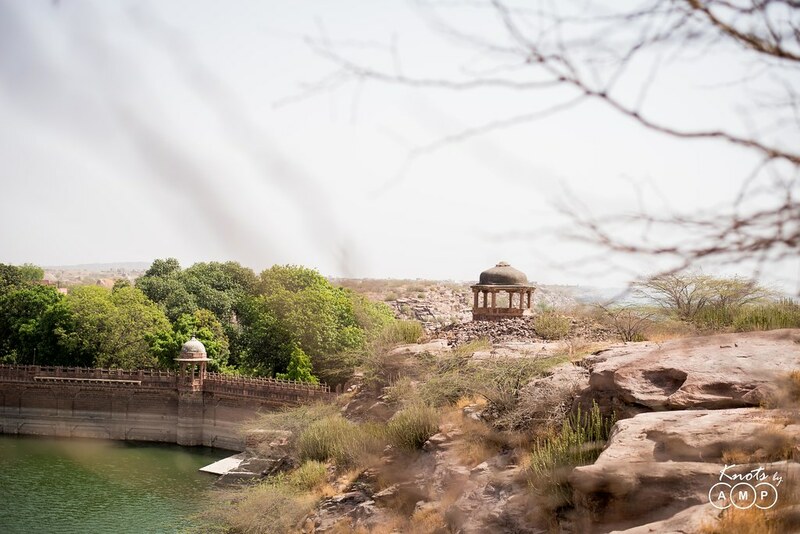 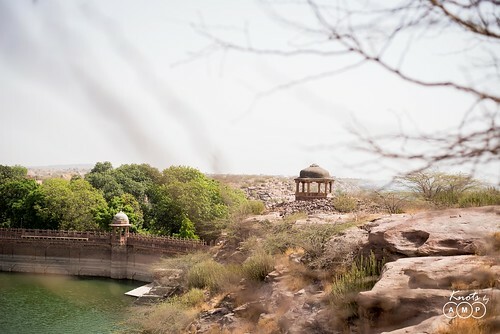 Thereafter, things moved pretty fast from there and very soon we were booked to shoot their royal palace wedding at Bal Samand Lake Palace, Jodhpur. 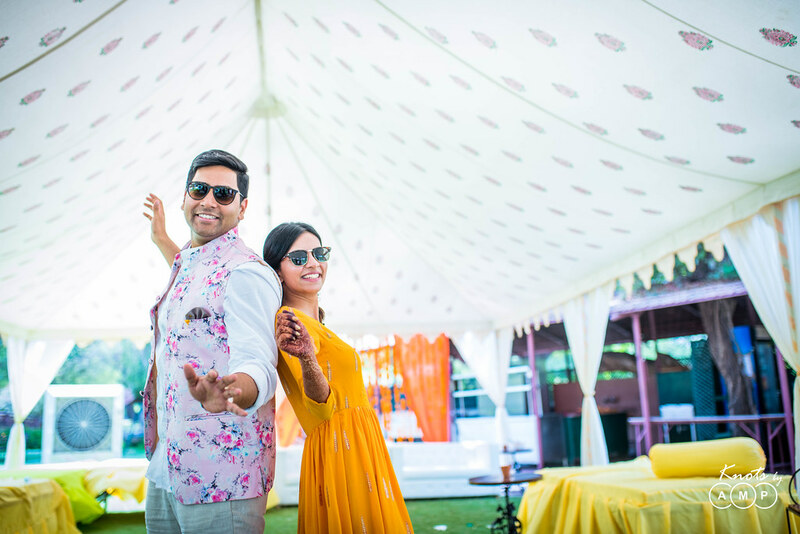 Over stories of sky diving in Spain, crazy BITSian escapades, quick little coffee meets turned into the most incredible first date, recounts Richa. 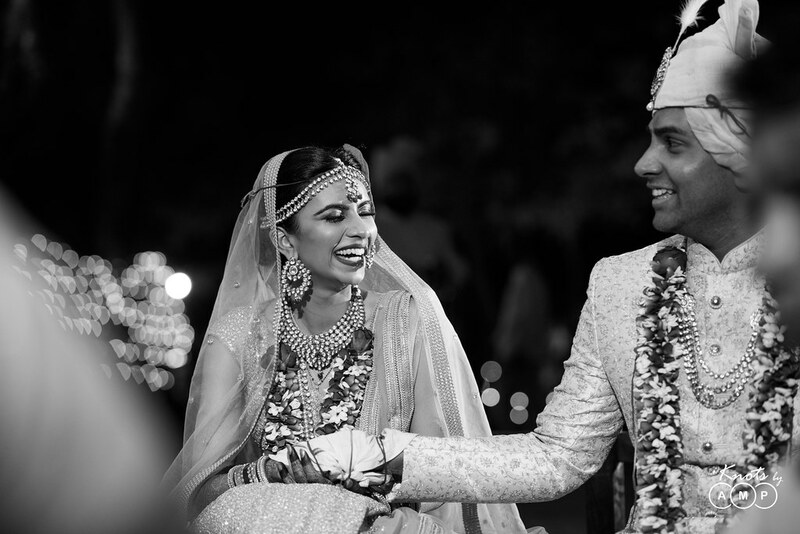 Whereas Abhilash has been a firm believer of destiny, and says he always knew this was meant to be. 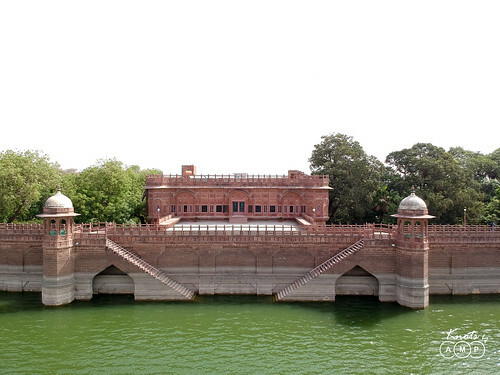 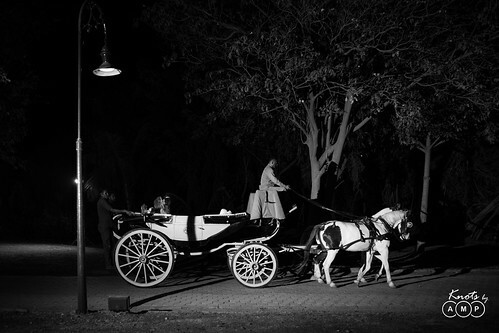 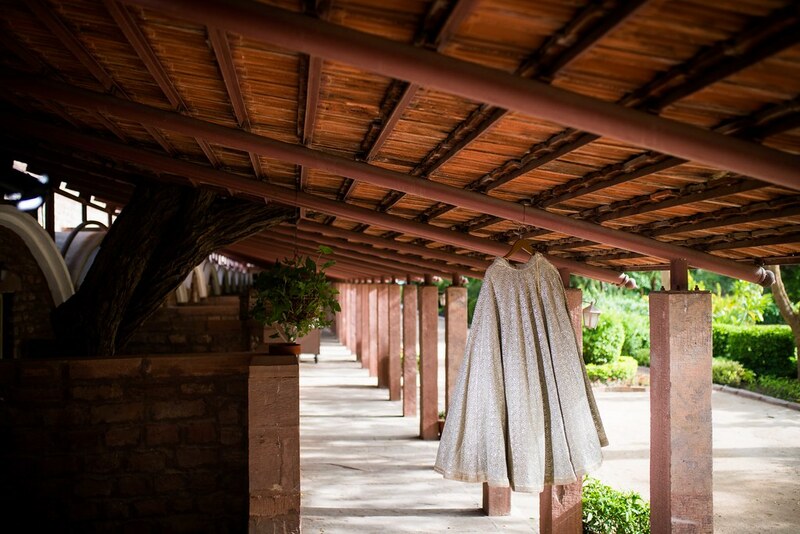 And ofcourse, this is meant forever, and in a total dream-come-true way at the royal Bal samand Lake Palace, Jodhpur. 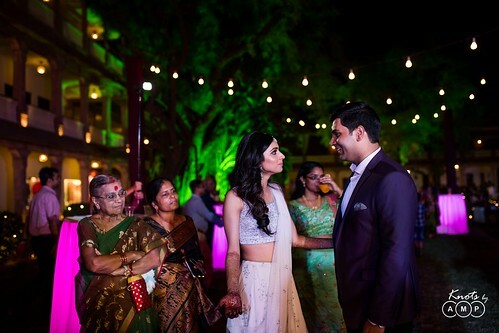 With a North (Richa) meets South (Abhilash) wedding & friends and family coming in from all over the world, they wanted their wedding weekend to be an experience that let their families getting to know each other well, and most importantly, letting them spend time with their closest people. 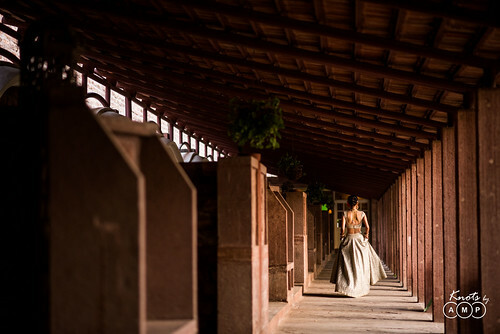 That’s why the focus was on being an easy going wedding, and not being tied down with too many processes. 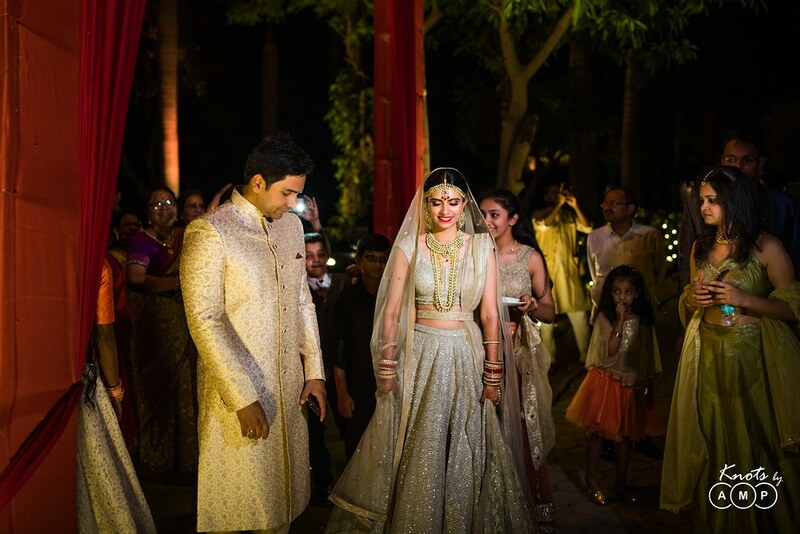 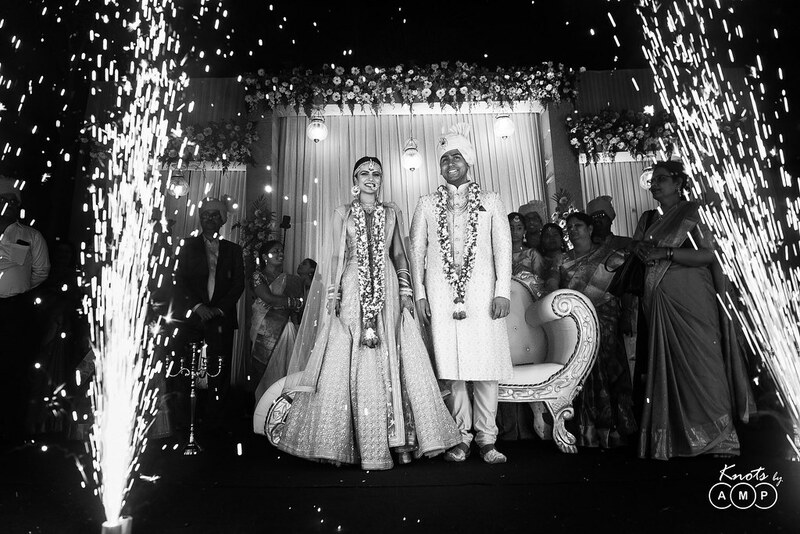 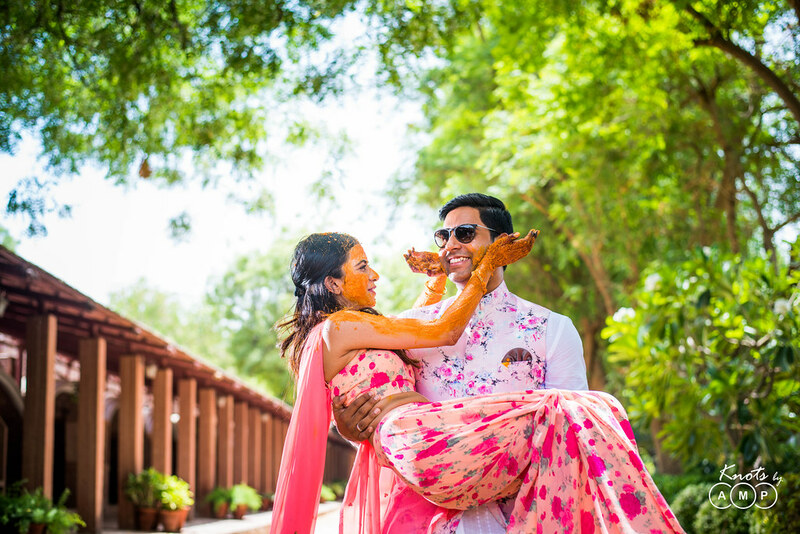 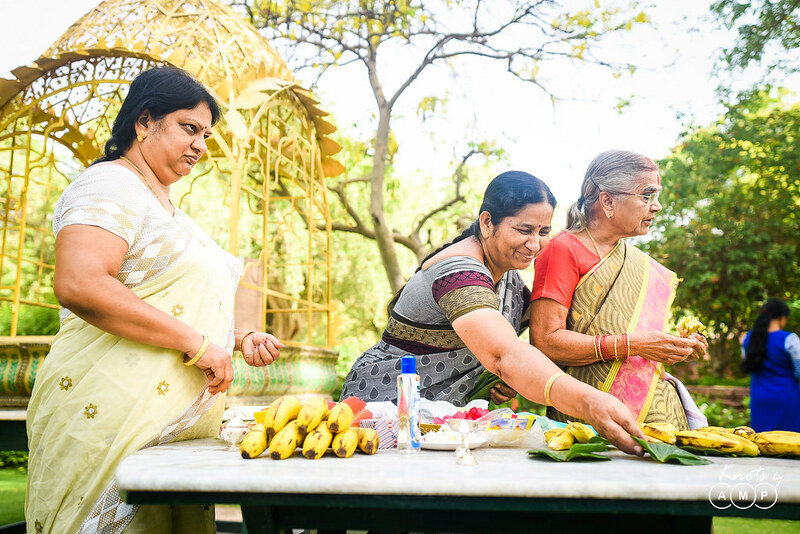 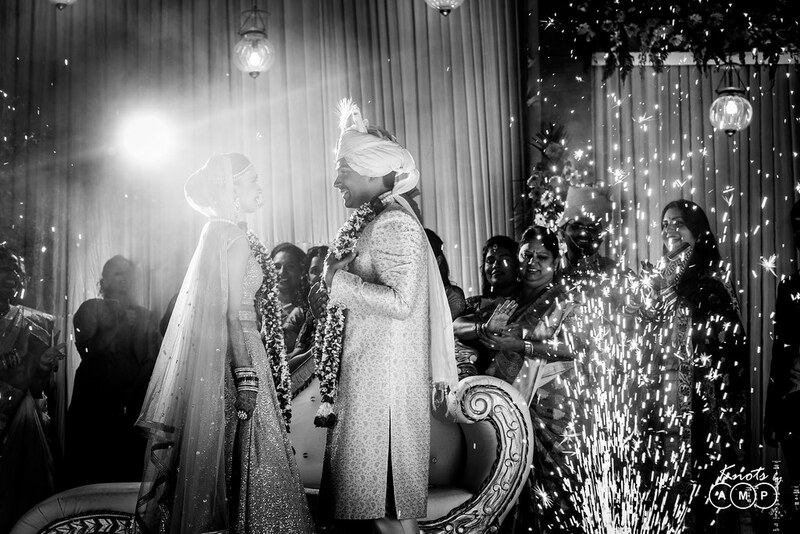 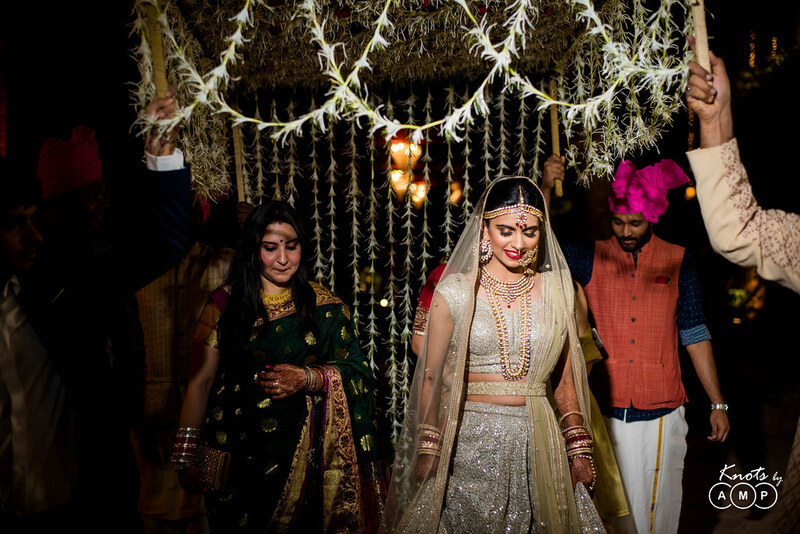 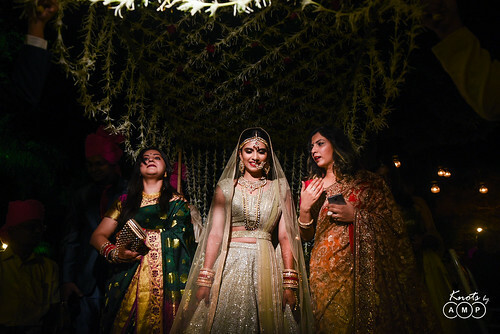 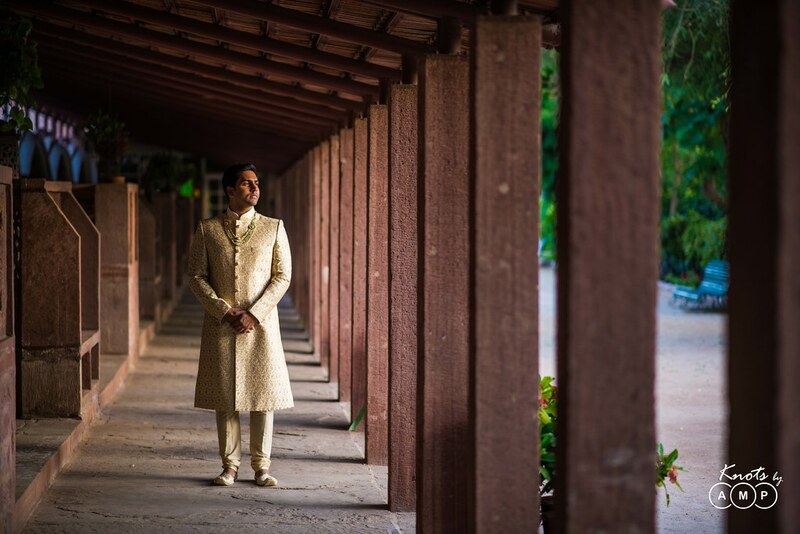 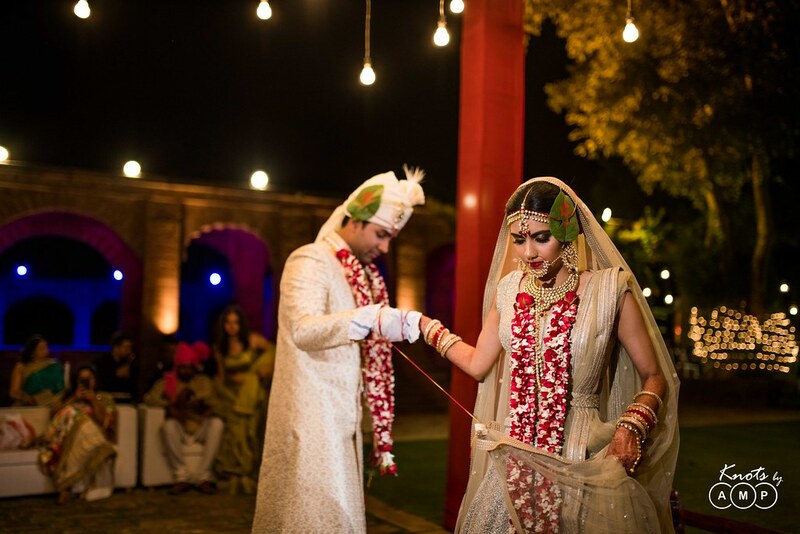 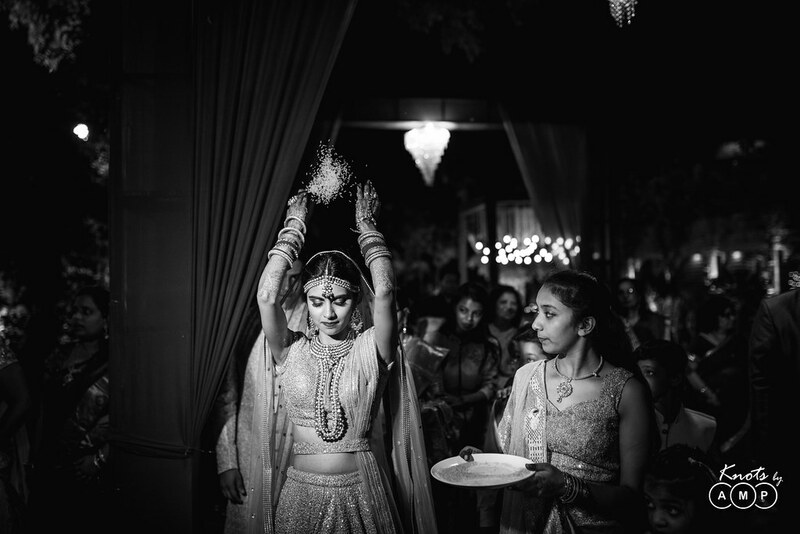 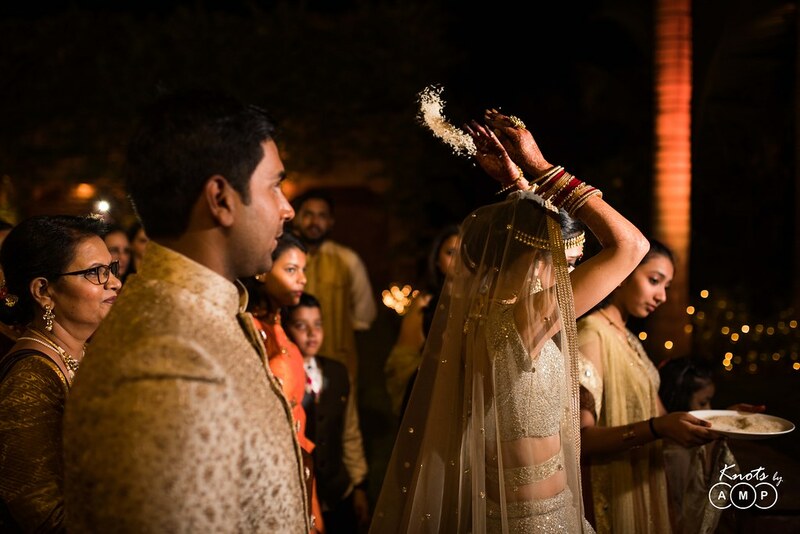 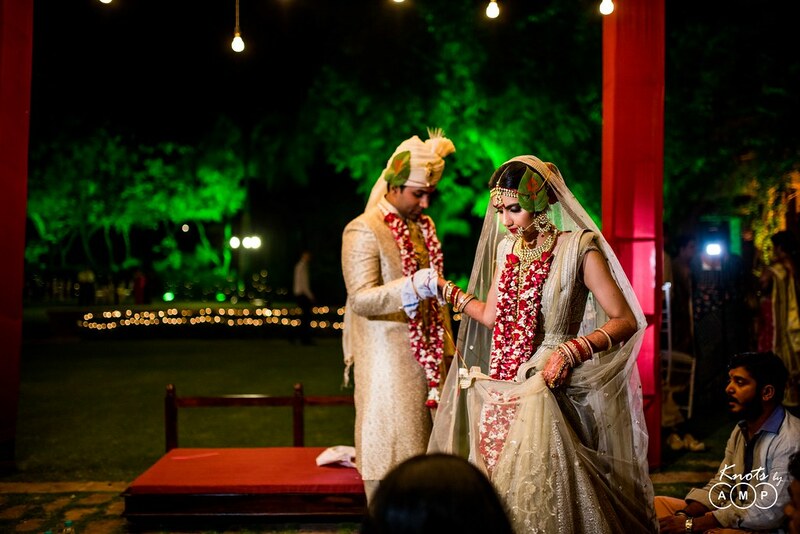 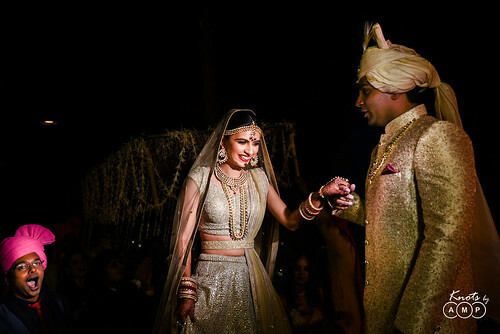 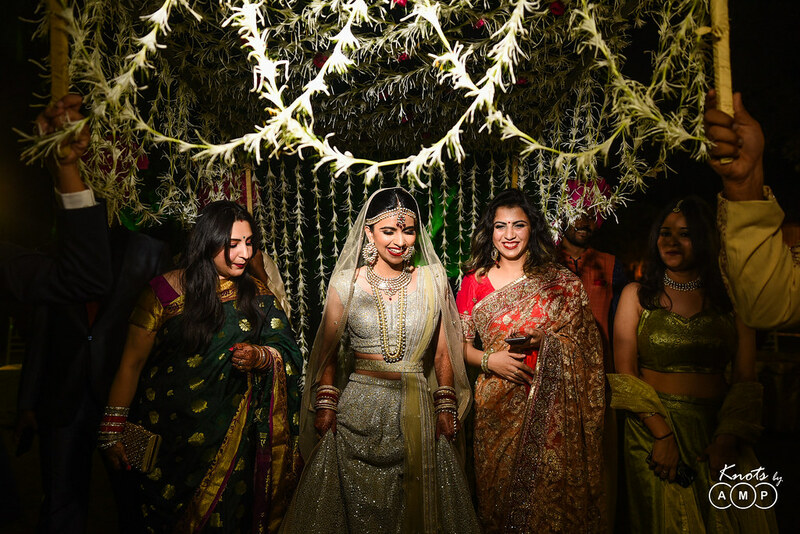 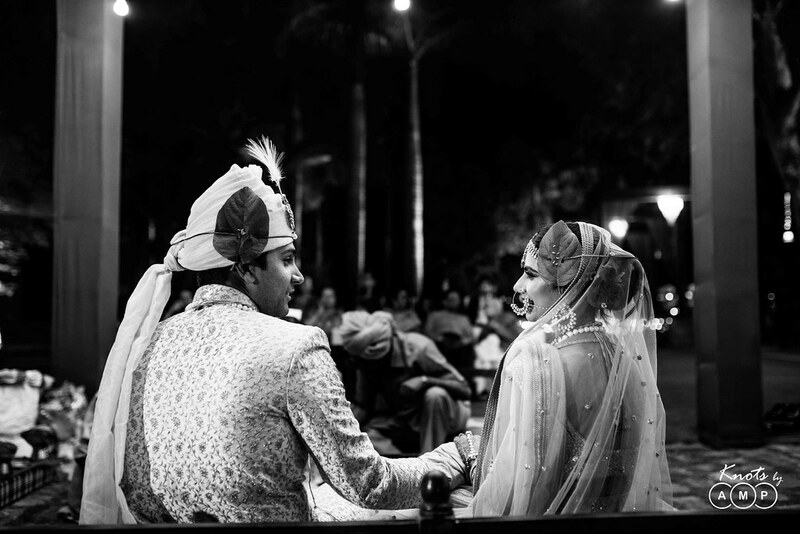 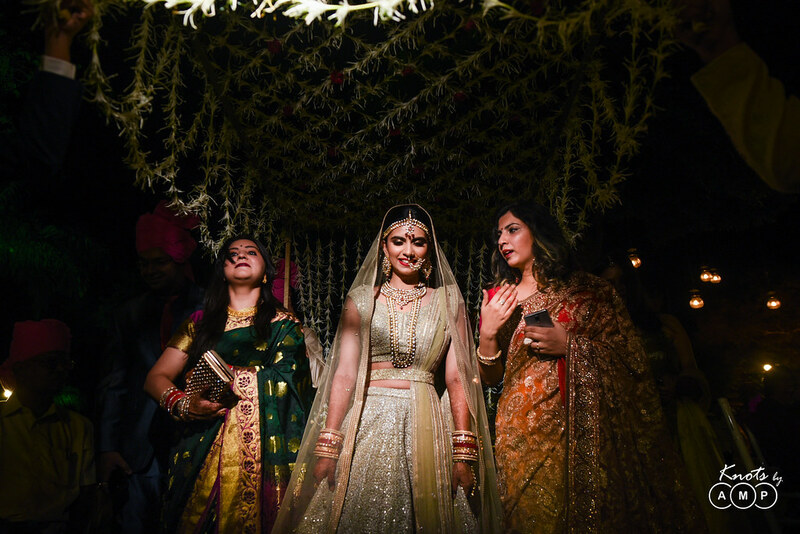 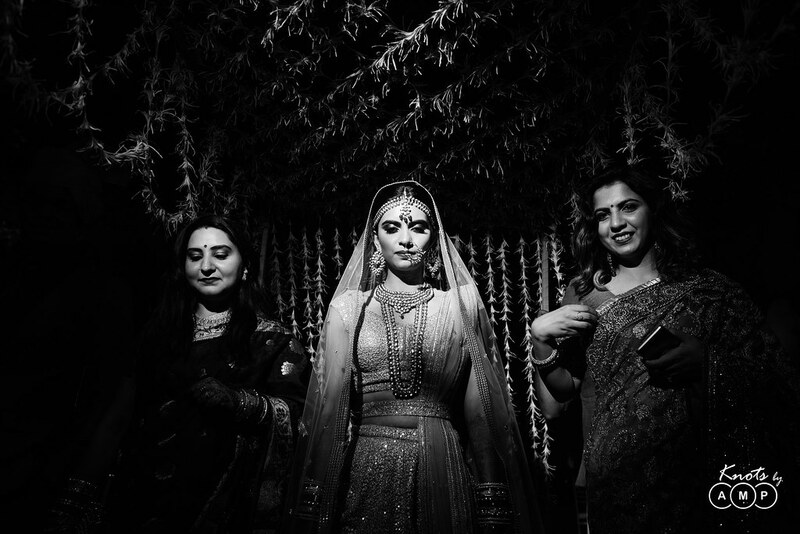 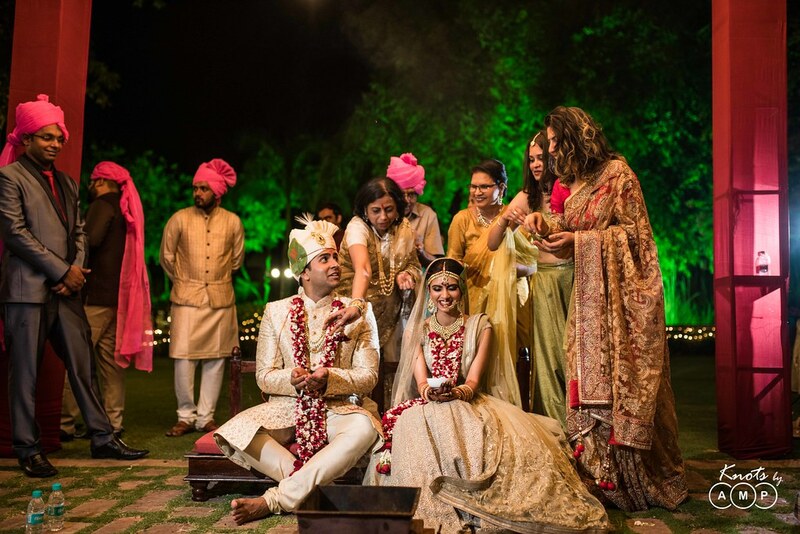 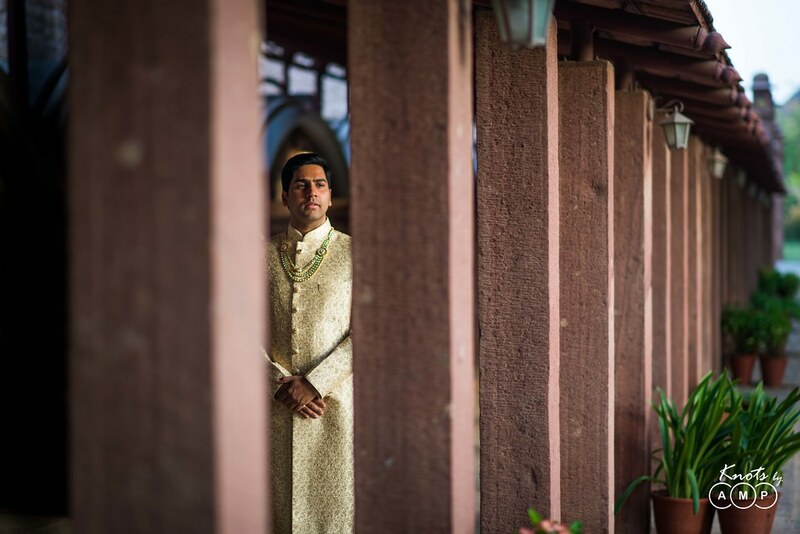 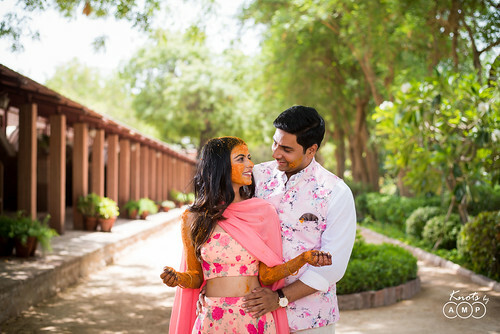 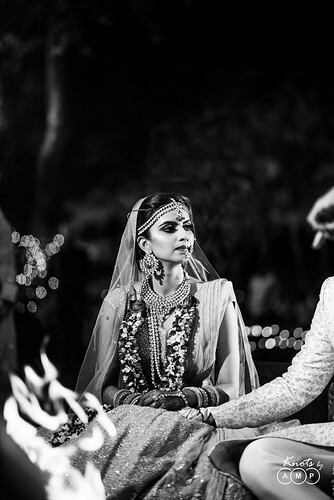 There were three major functions – Cocktail, Haldi & the Wedding, each dreamy & beautiful in their own way. 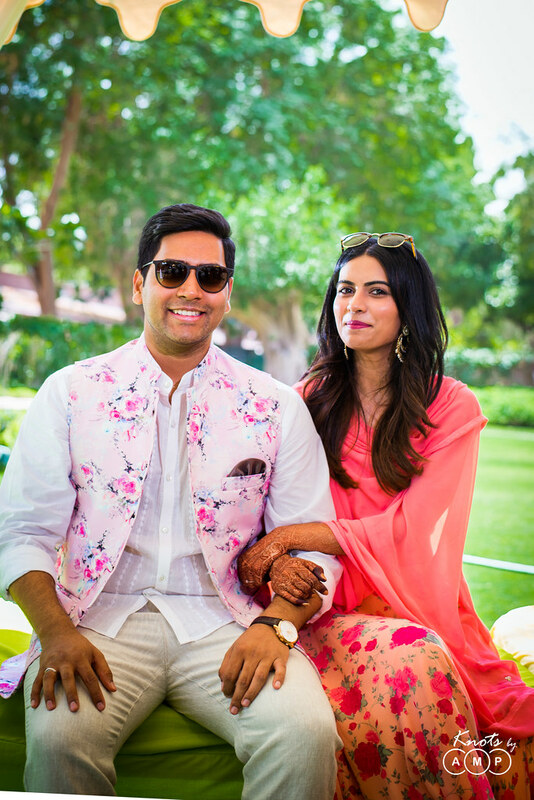 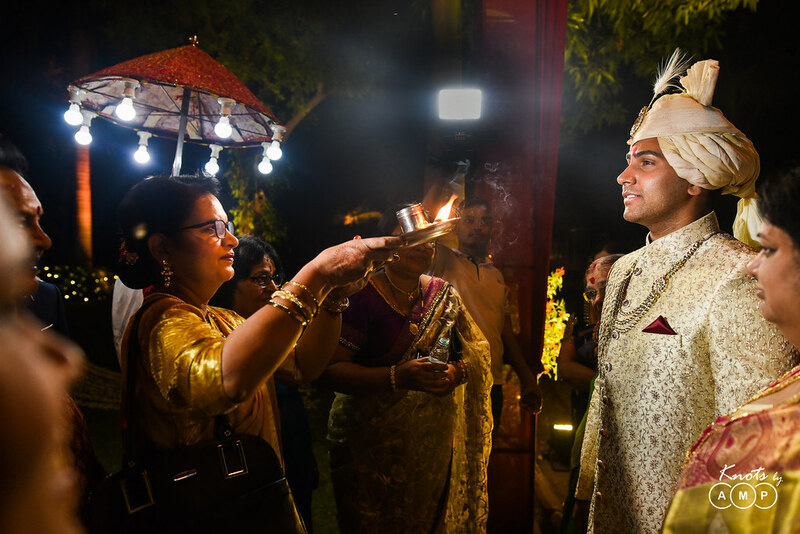 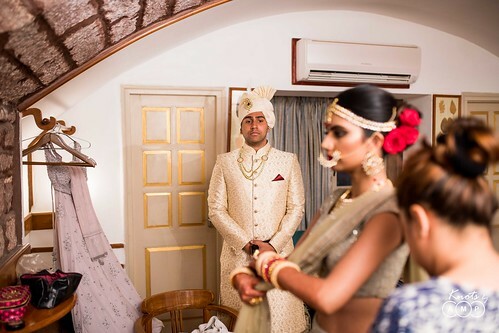 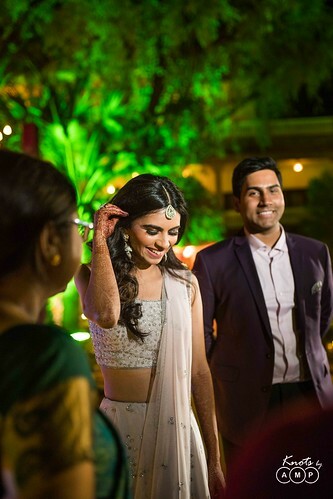 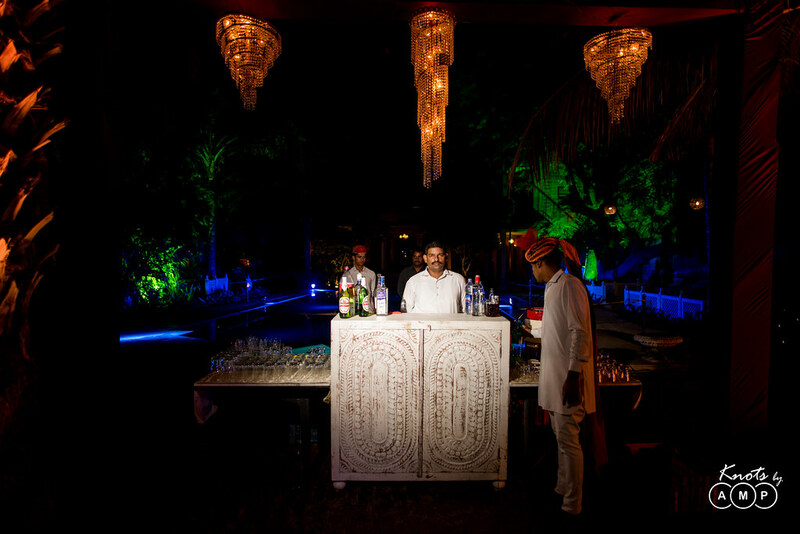 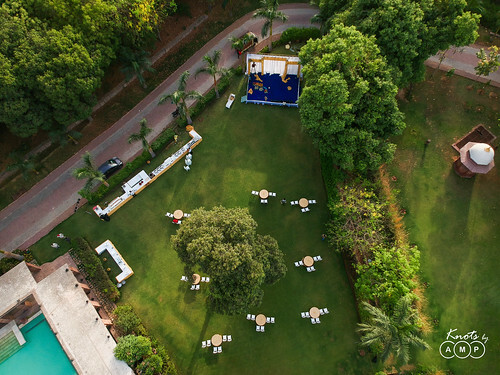 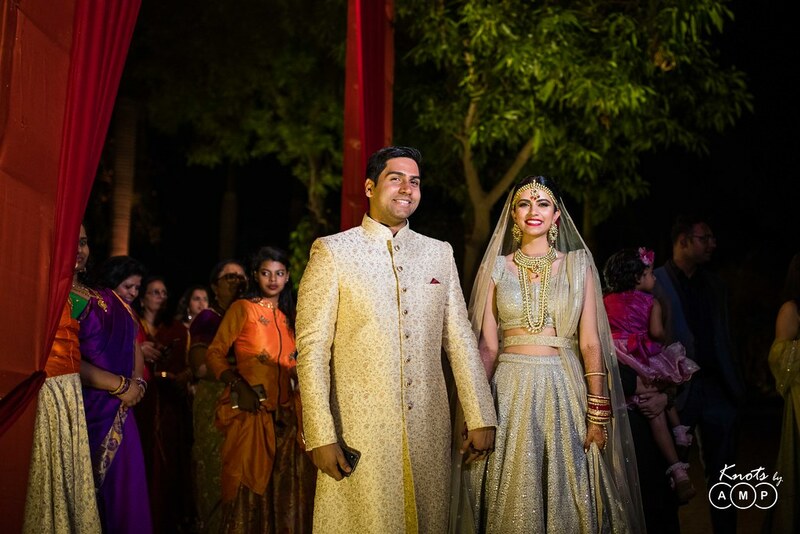 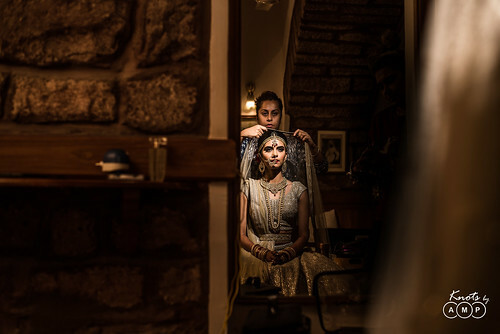 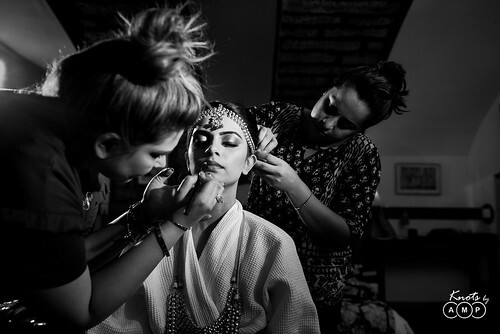 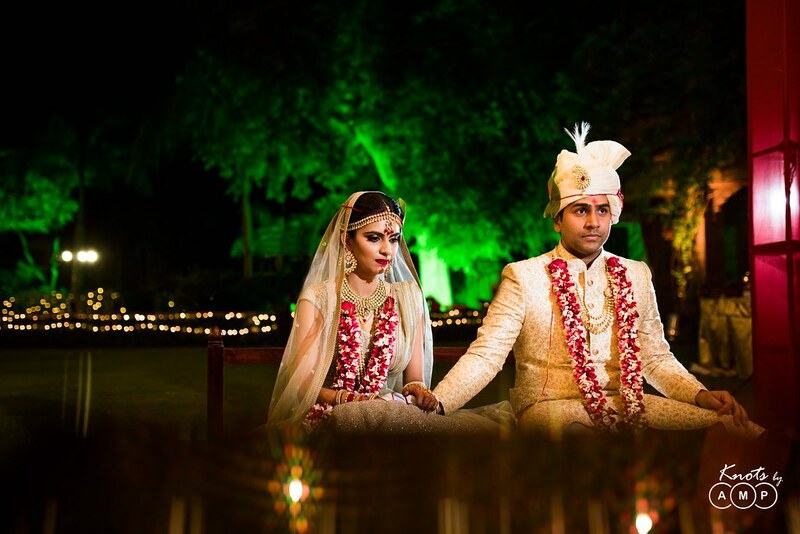 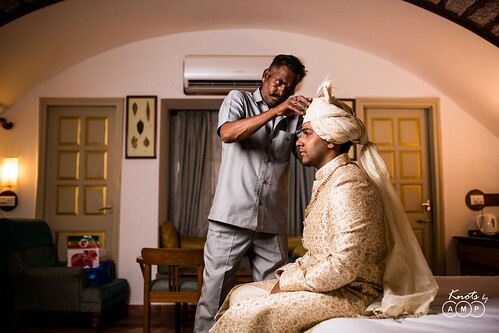 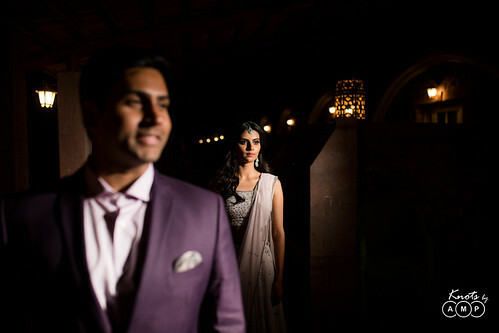 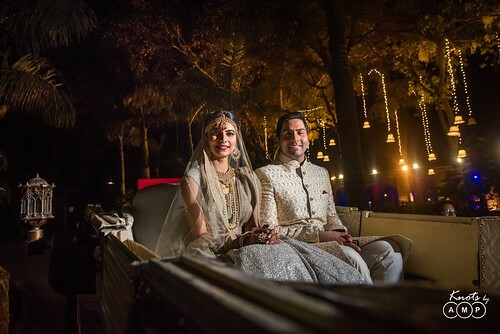 Cocktail – The Bride & Groom got ready at the Bal Samand Lake Palace. 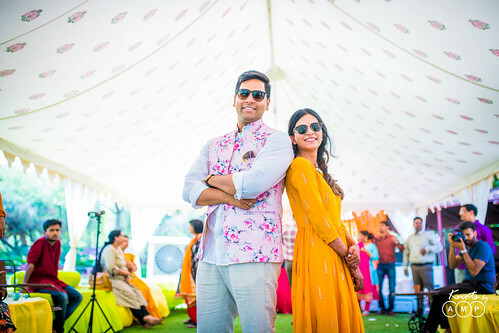 We quickly made some couple portraits. 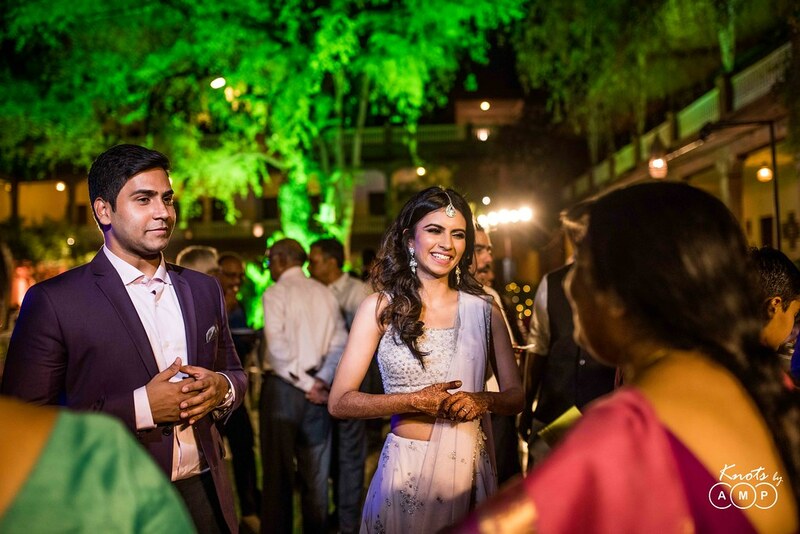 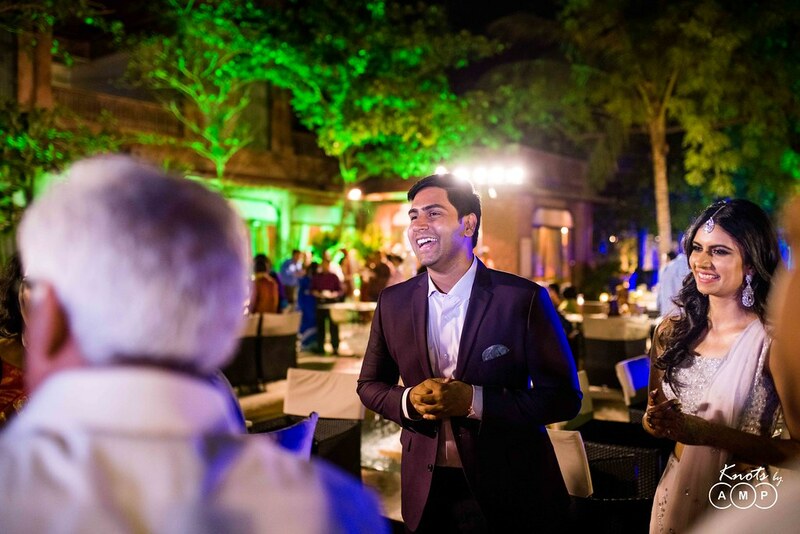 And then the party shifted to Ranbanka Palace, Jodhpur, with friends & family rejoicing in happiness. 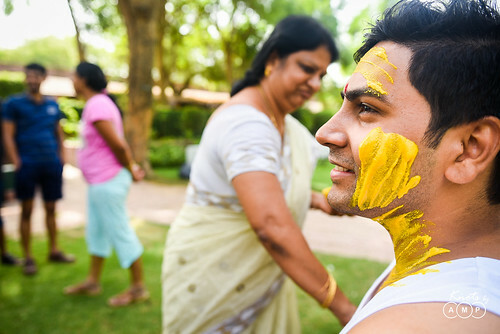 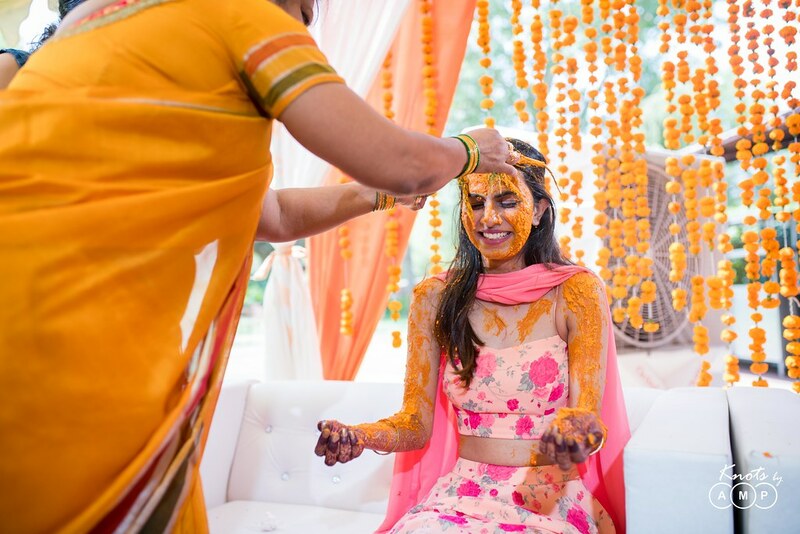 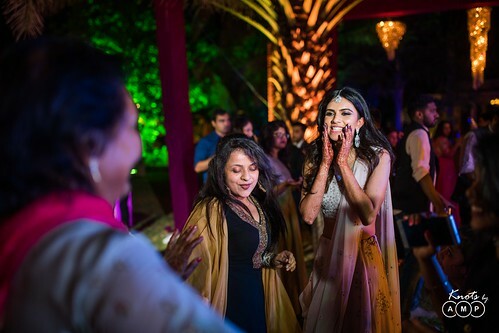 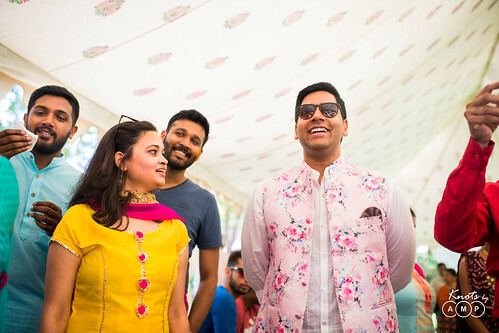 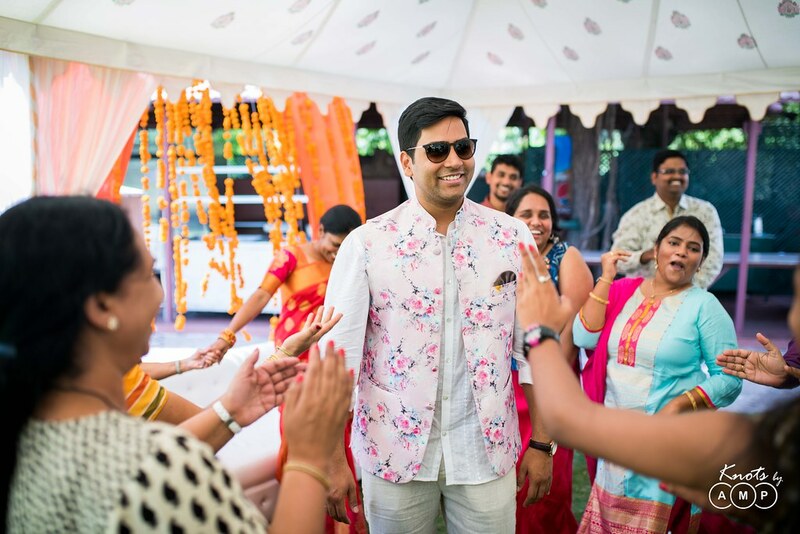 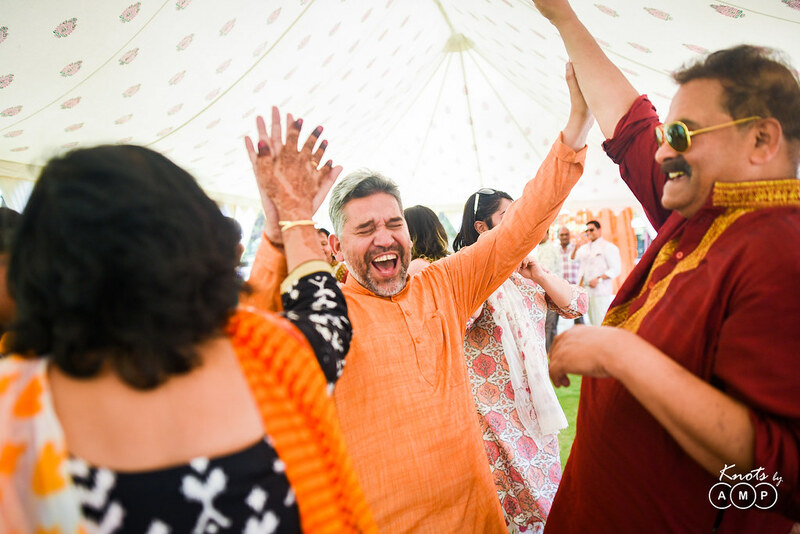 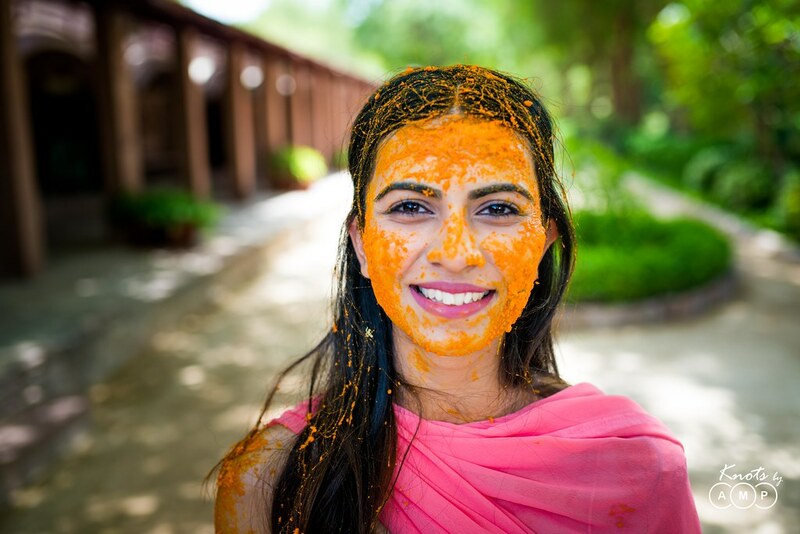 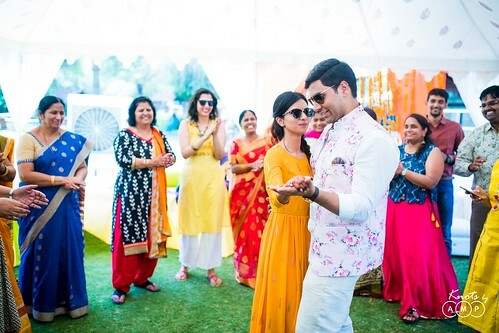 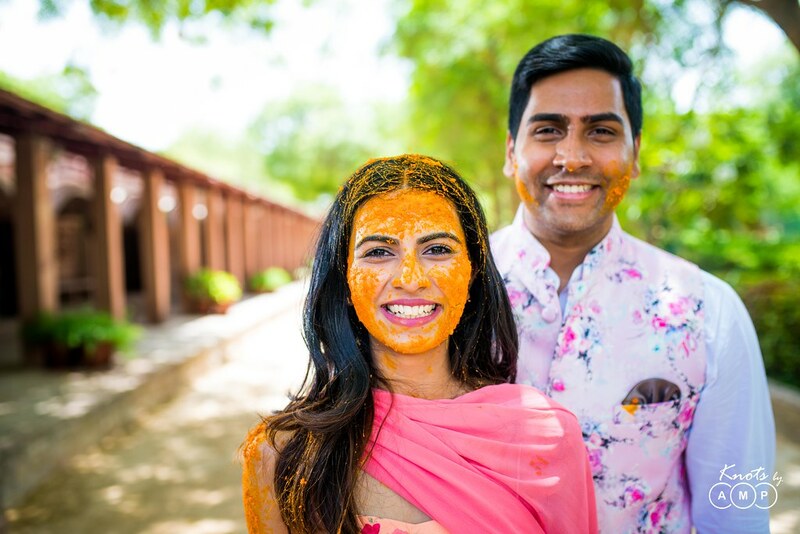 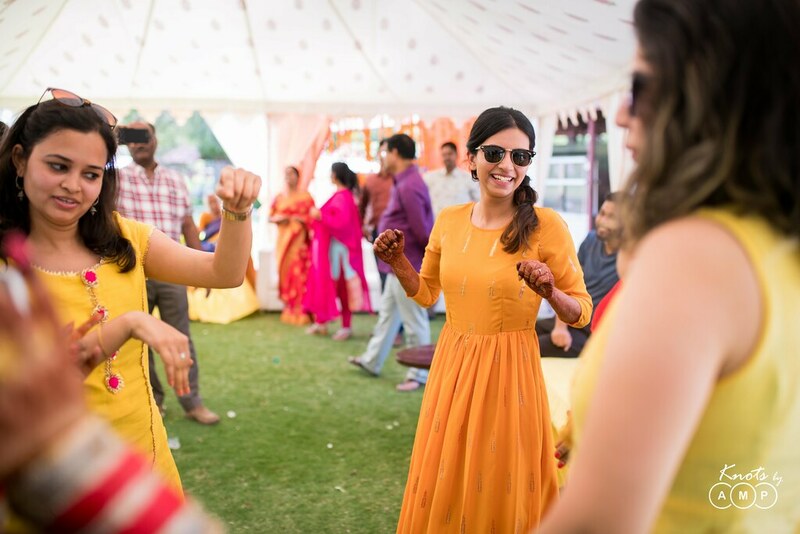 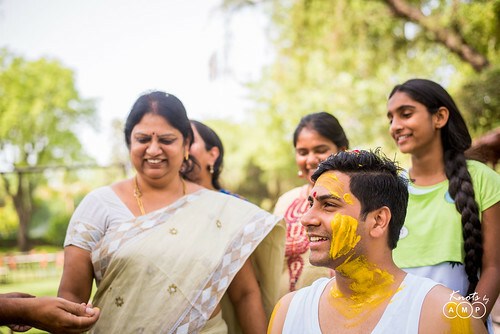 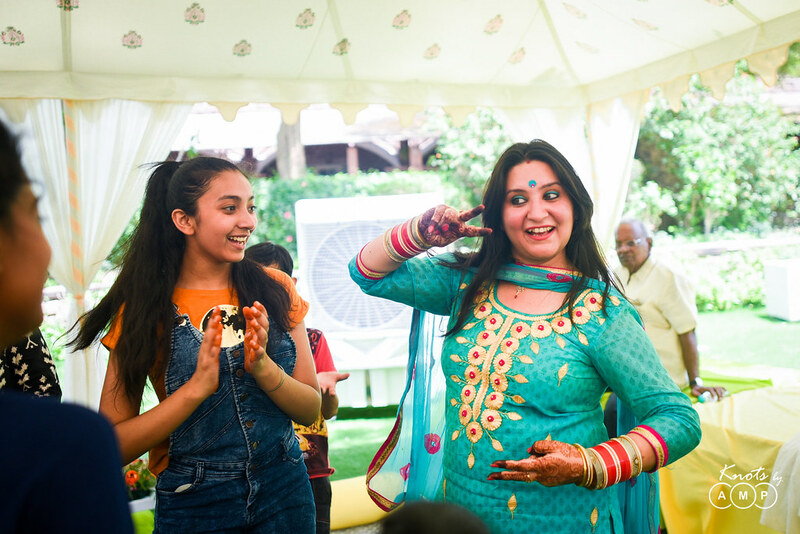 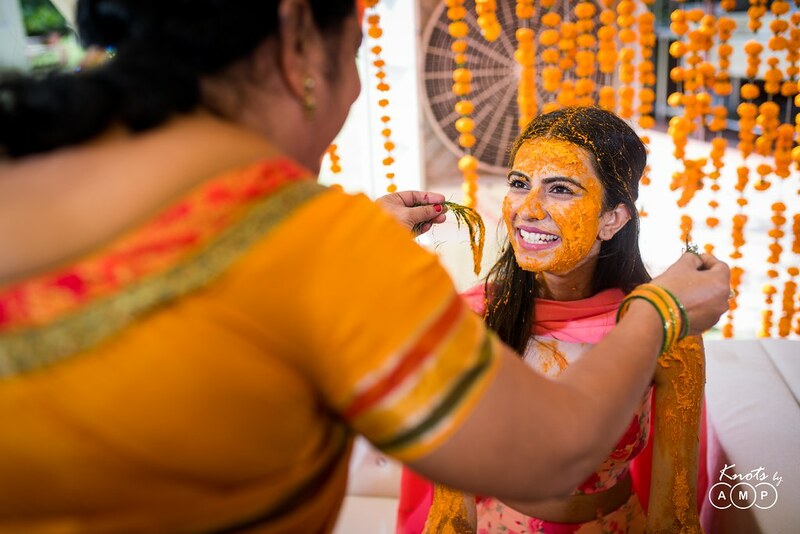 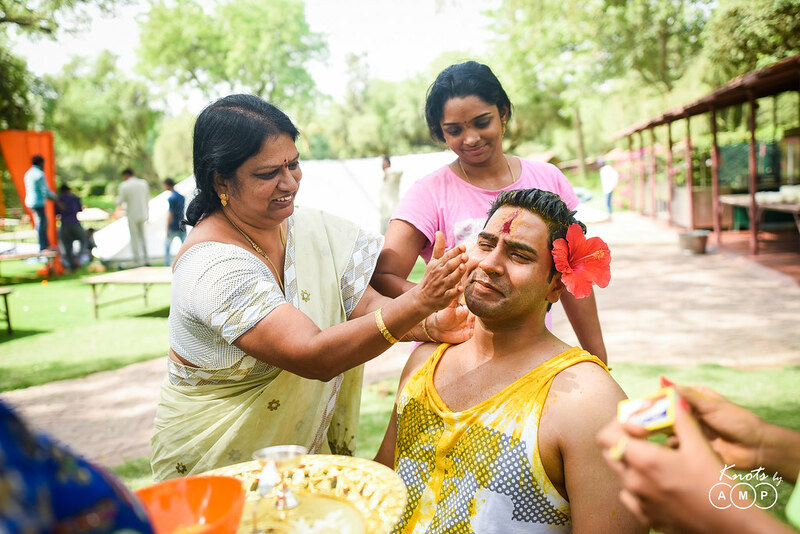 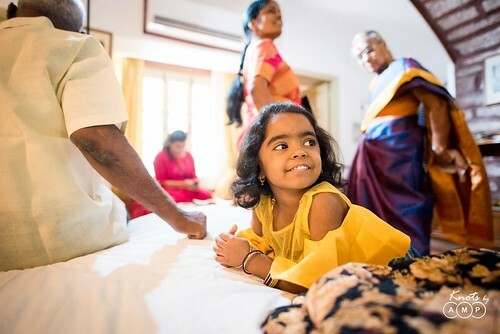 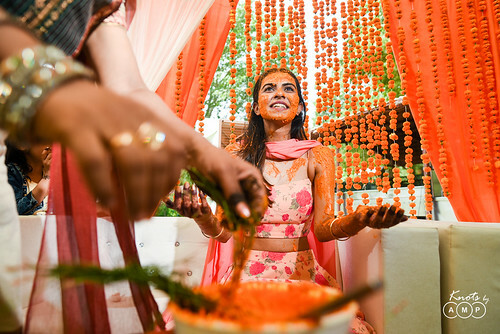 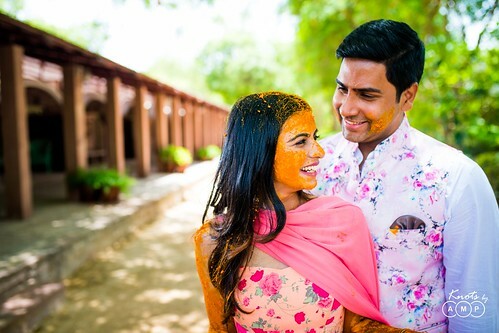 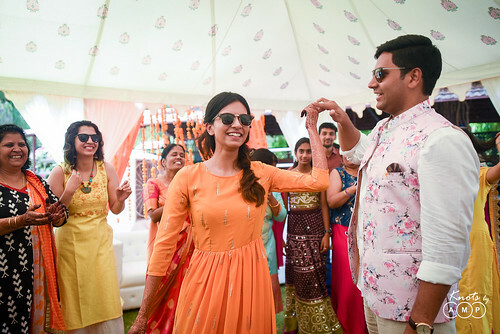 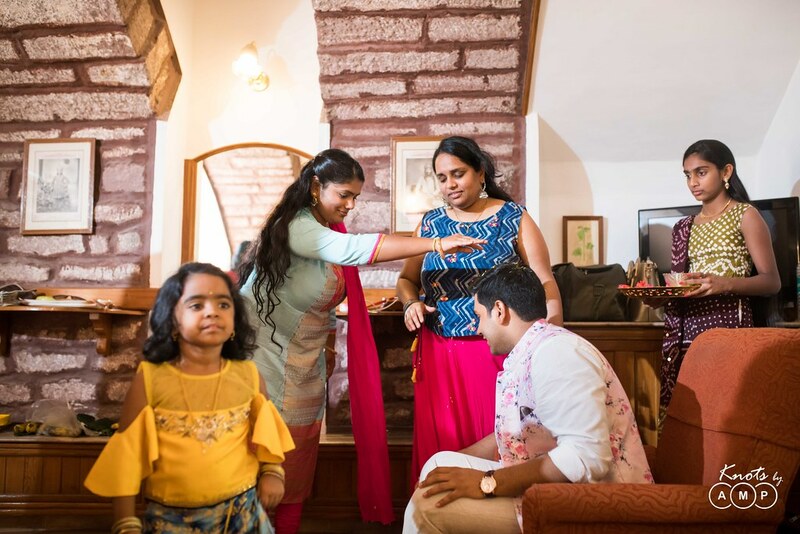 Haldi – Haldi is clearly the most fun event in a wedding and Abhilash & Richa’s families & friends ensured they weren’t spared with any shortage of haldi on them. 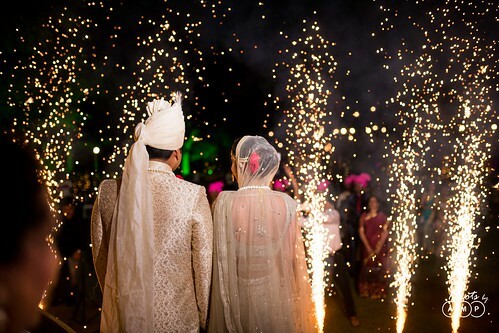 The result you get to see in the photographs. 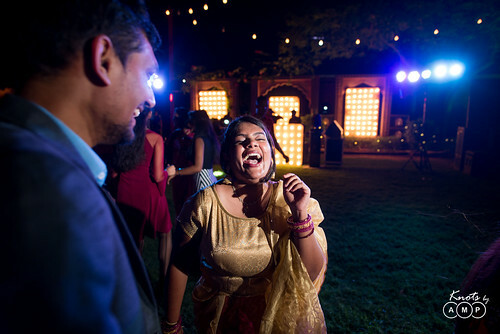 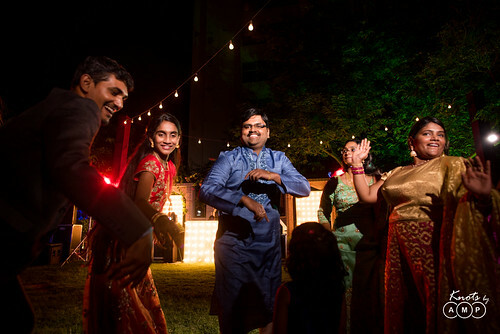 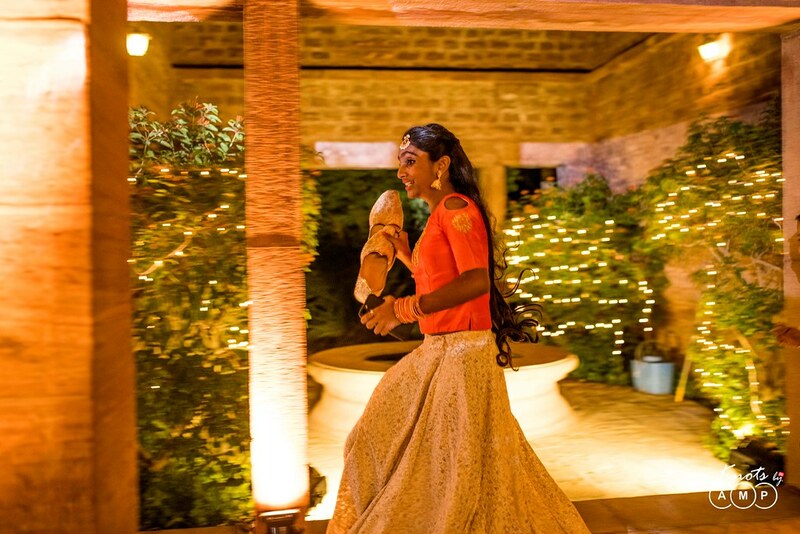 What also followed was a after party dance, lighting all the mood before the evening wedding. 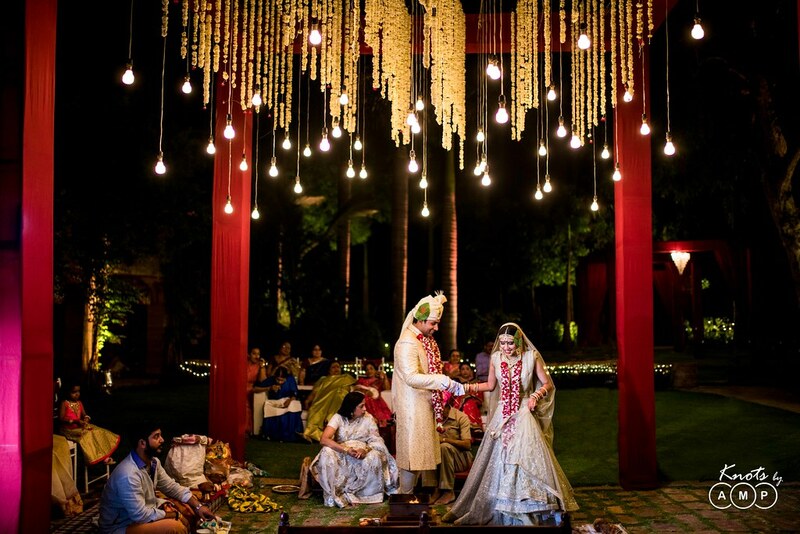 Wedding – One word – Dreamy! 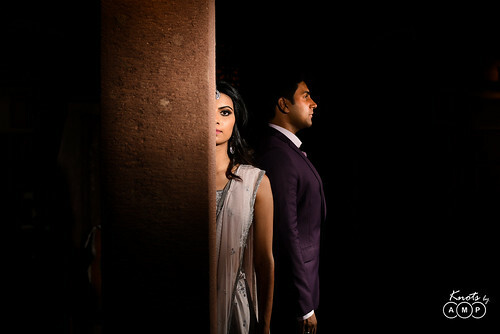 It started with us capturing the wedding details. 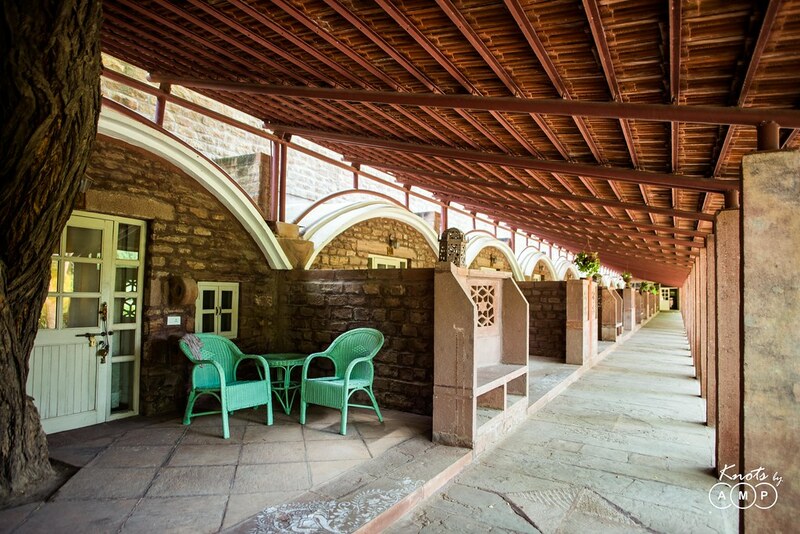 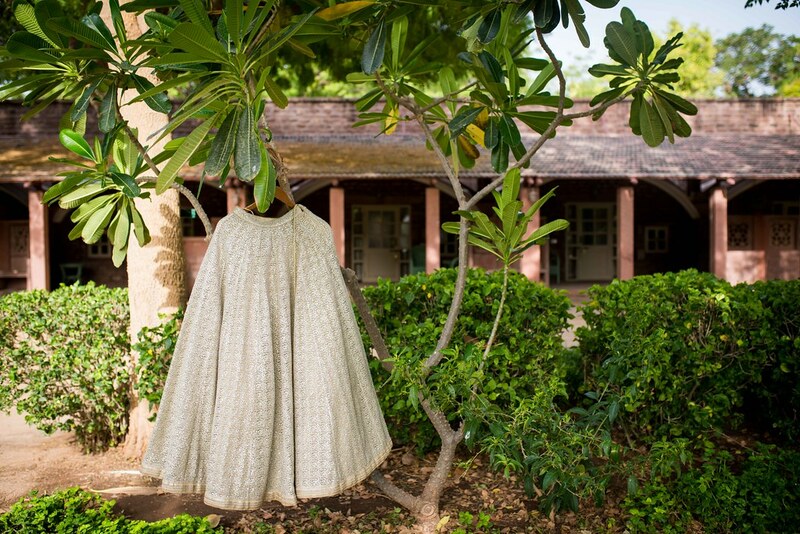 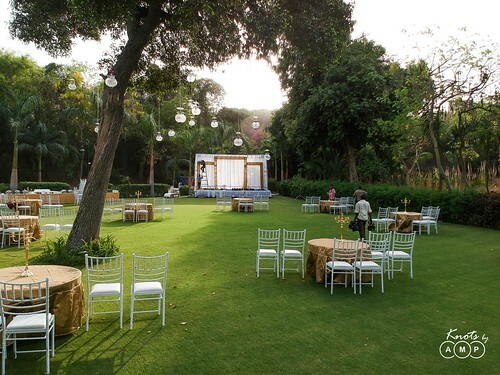 The Bal Samand Palace is rich & green with flora & fauna, and served as a stunning backdrop. 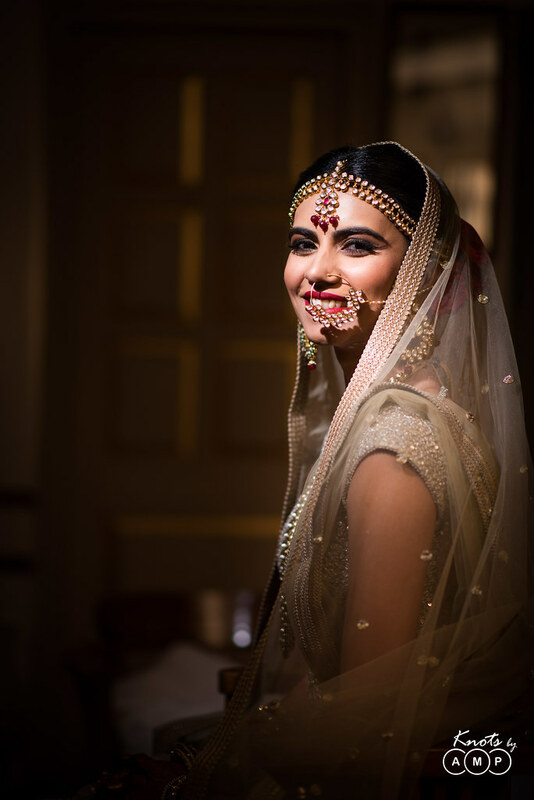 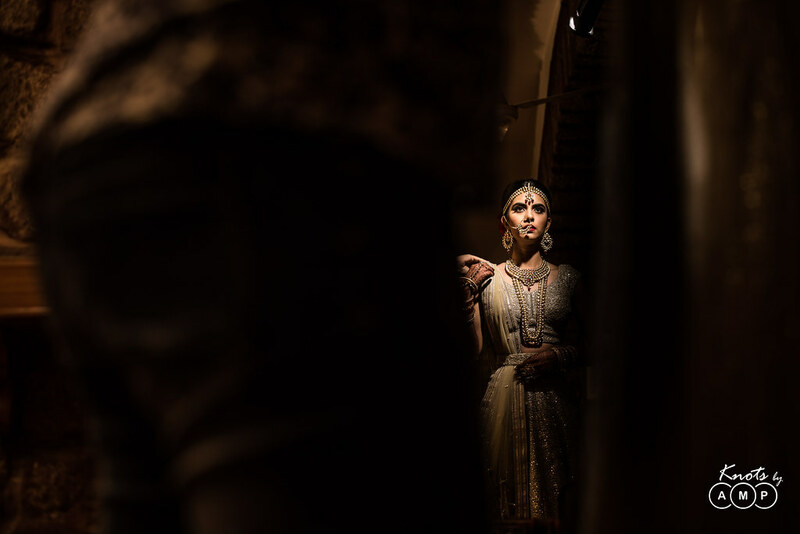 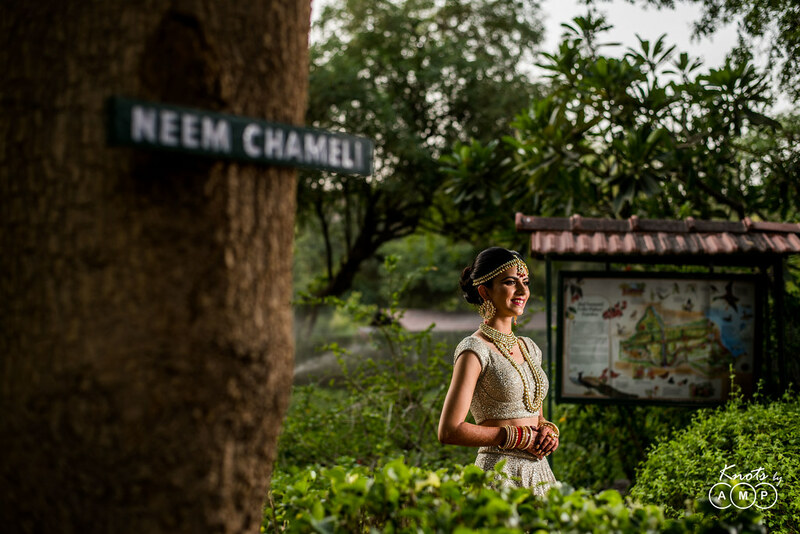 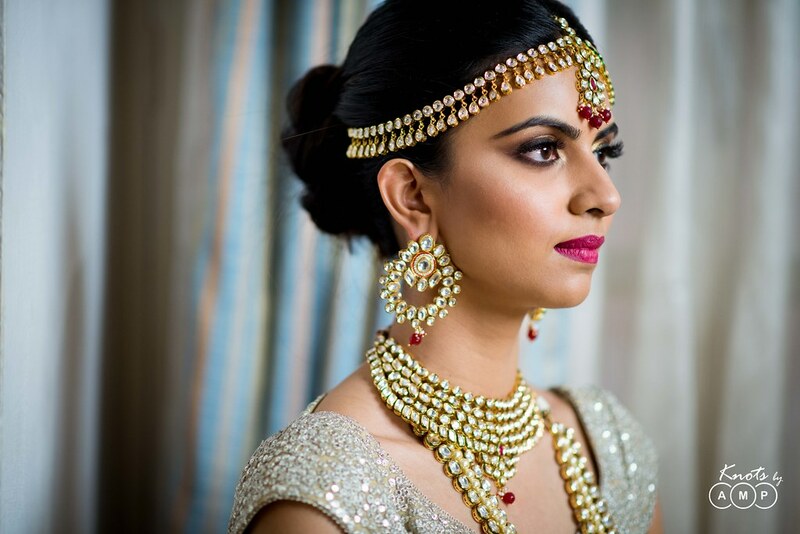 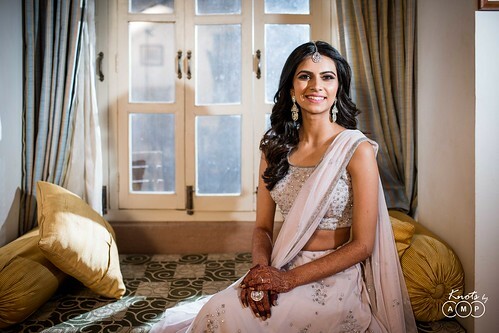 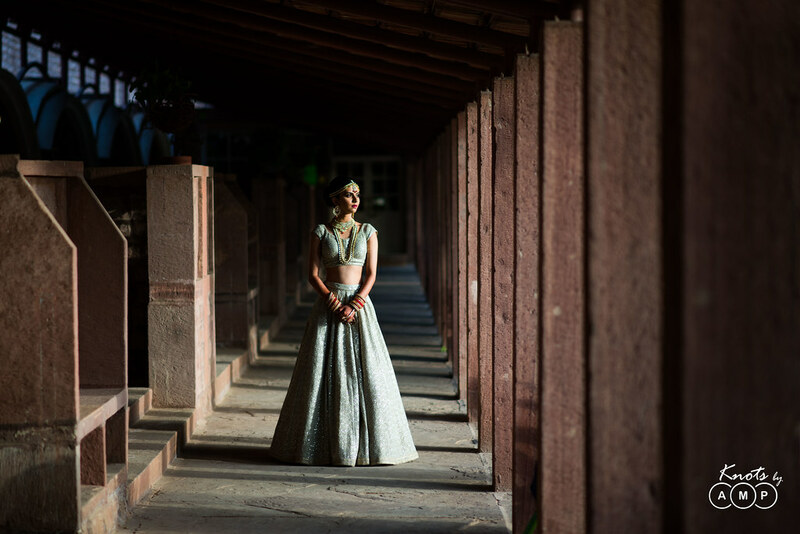 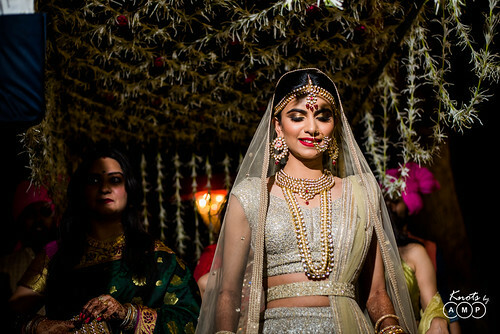 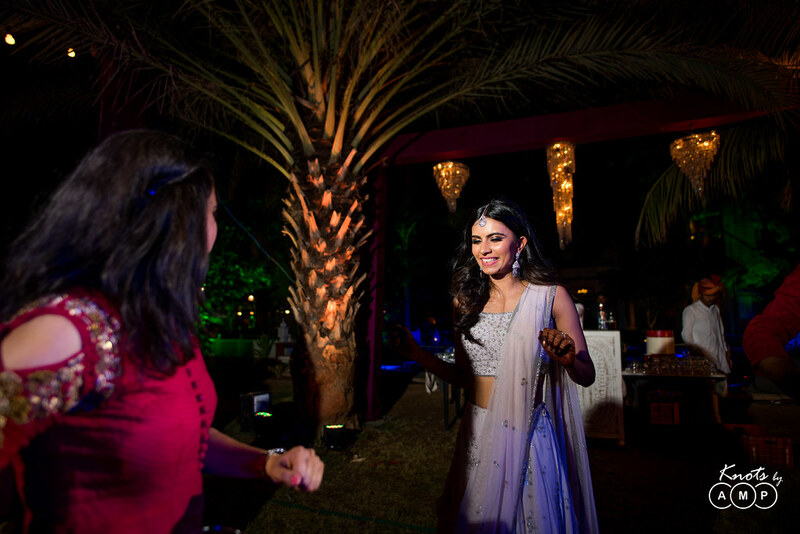 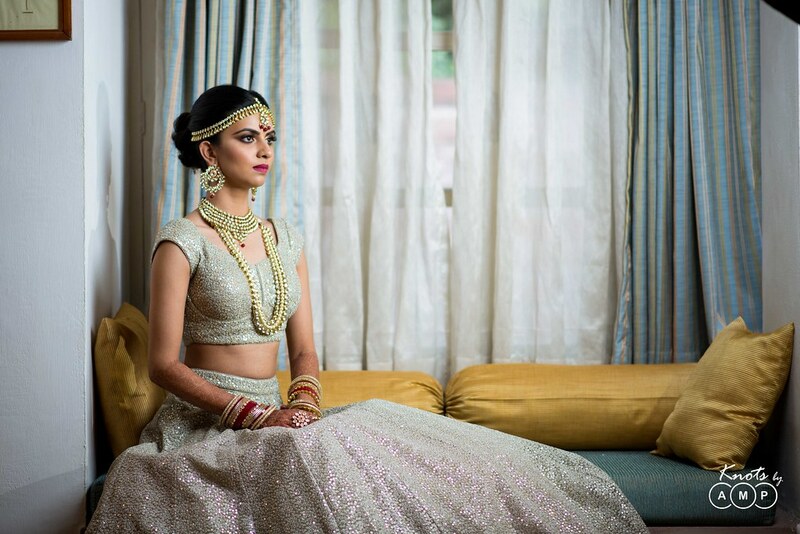 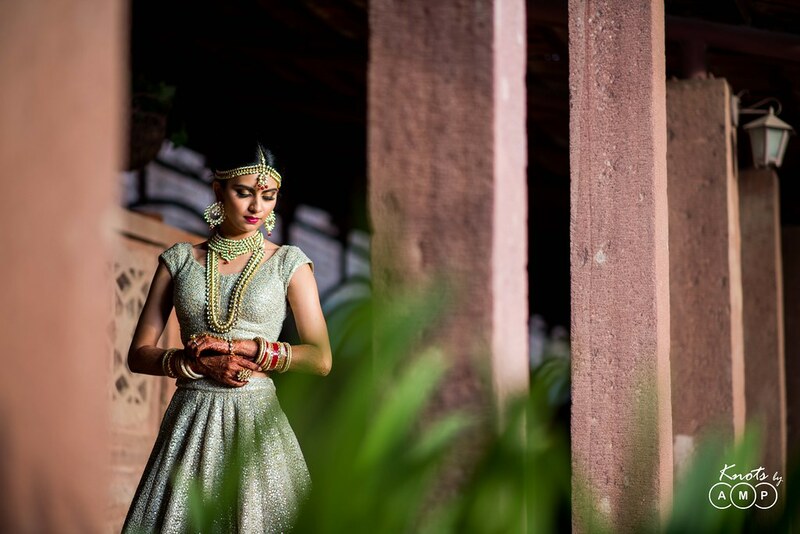 Before the sun got down, Richa got ready in her stunning Dabka Dori ensemble and we got some stunning portraits. 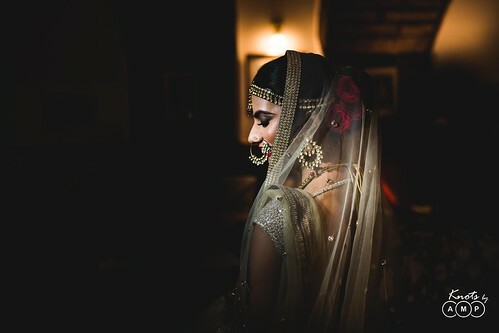 A tip to all future brides – Get ready before the sun sets for your evening wedding & you will be overjoyed to see the outcome in the photographs. 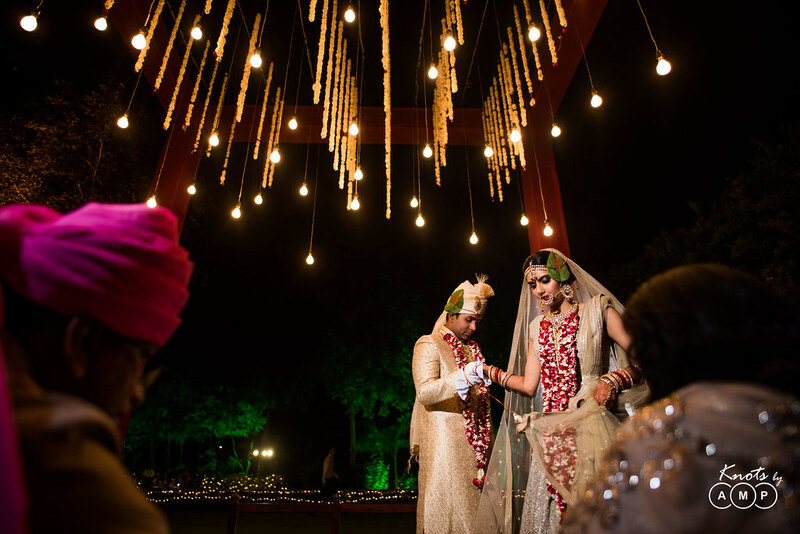 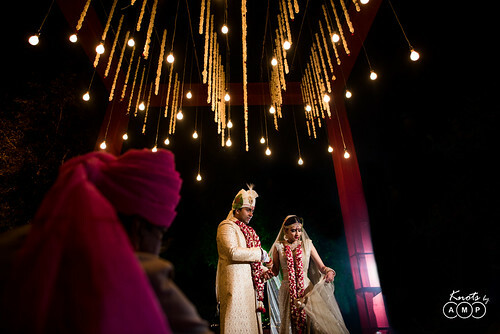 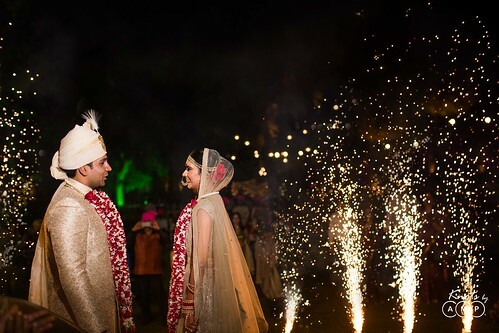 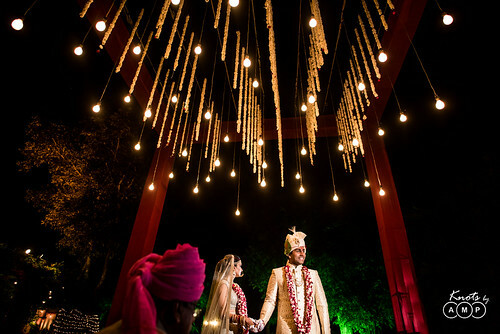 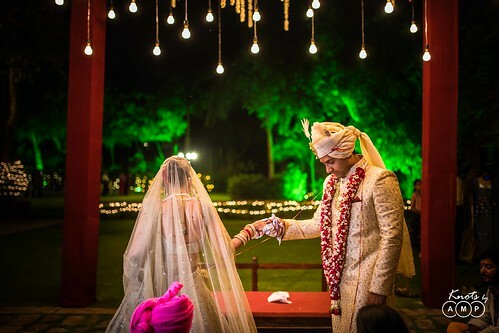 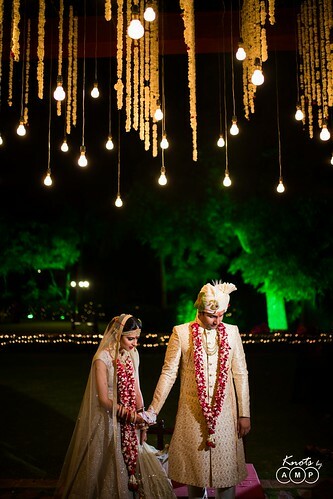 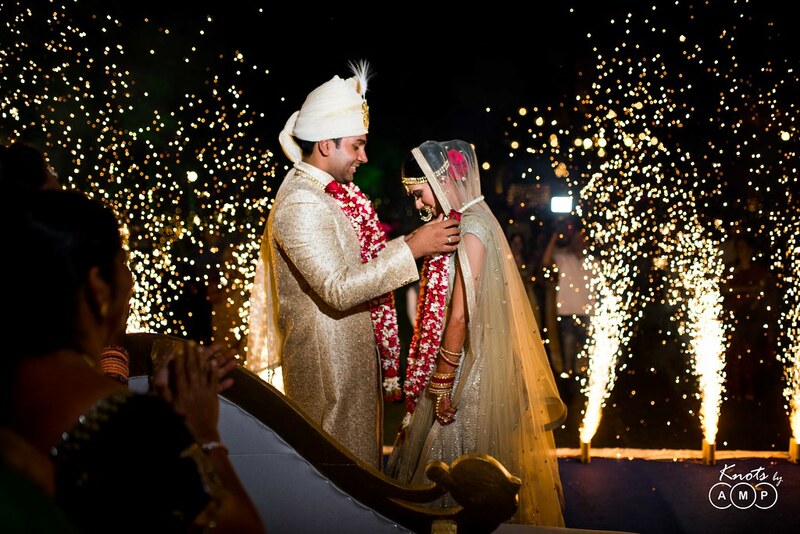 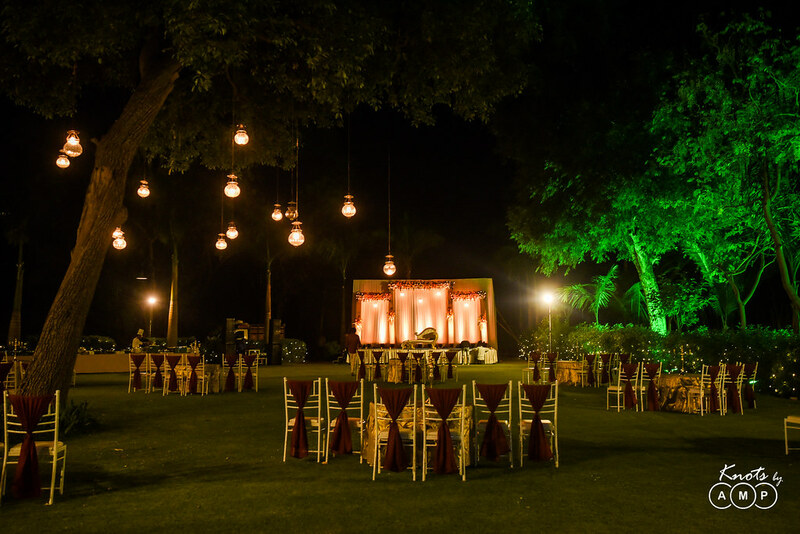 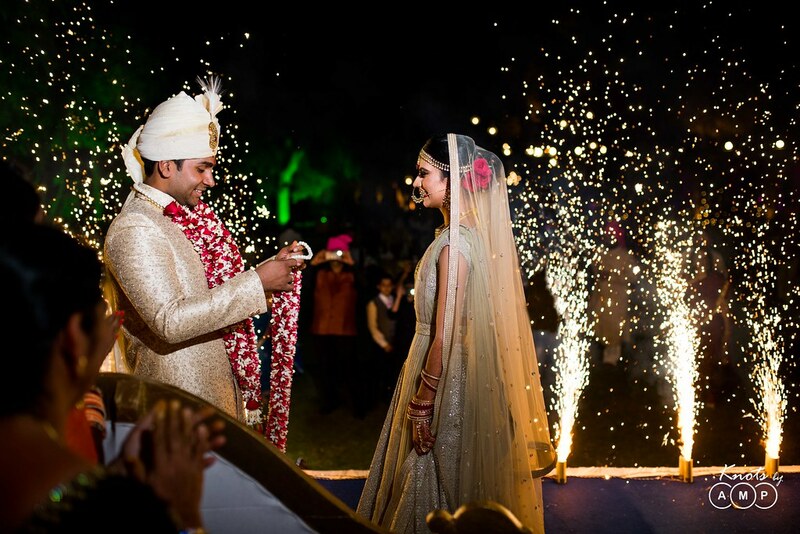 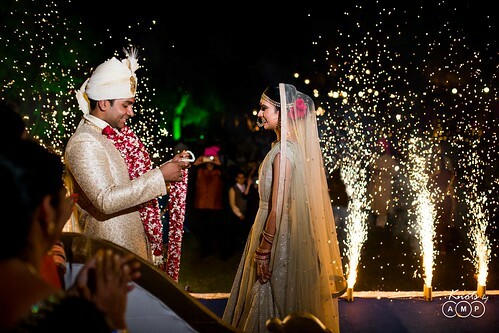 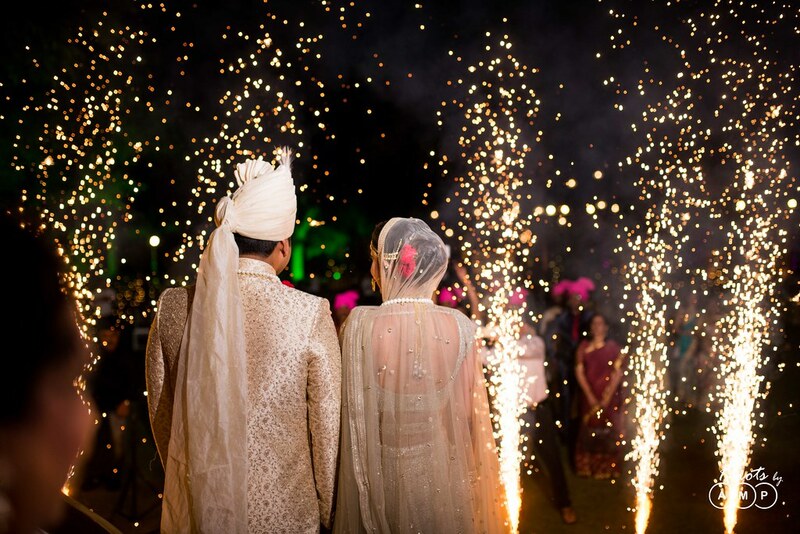 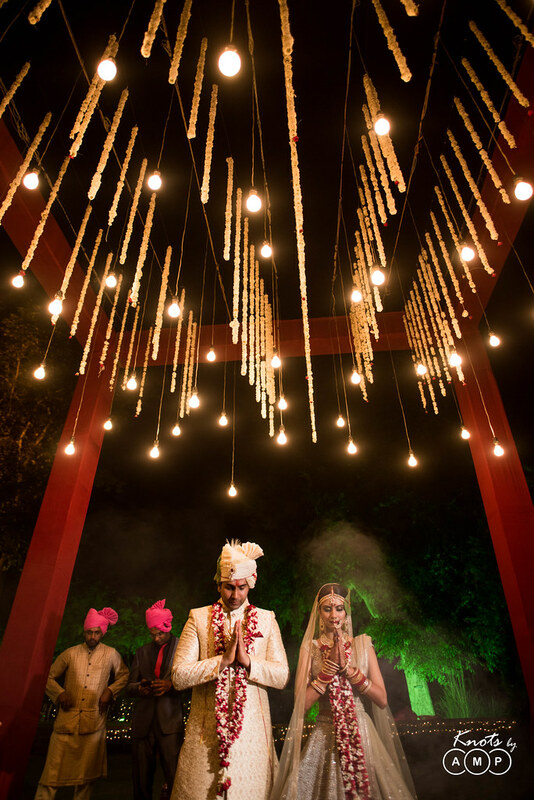 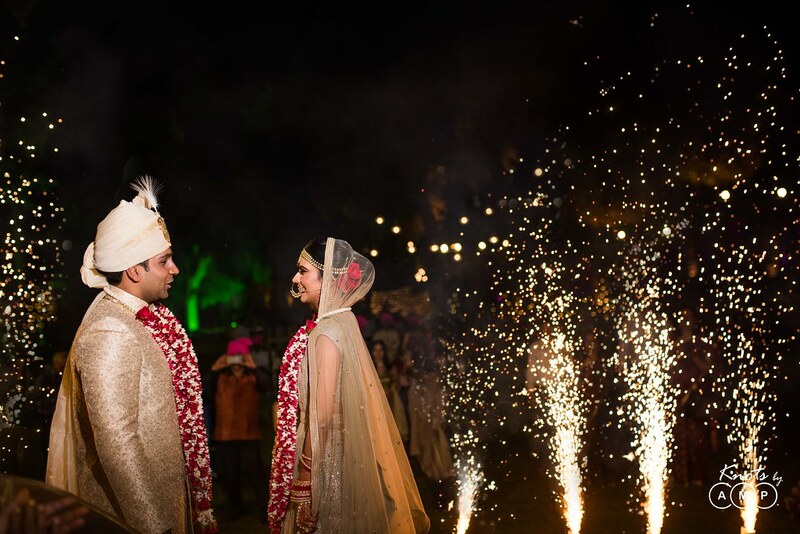 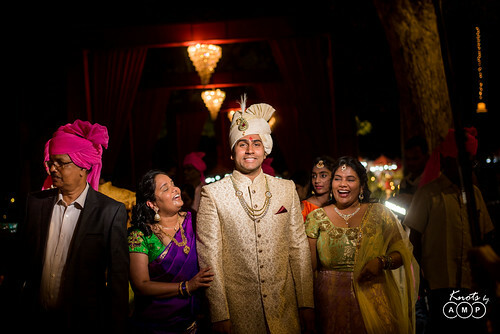 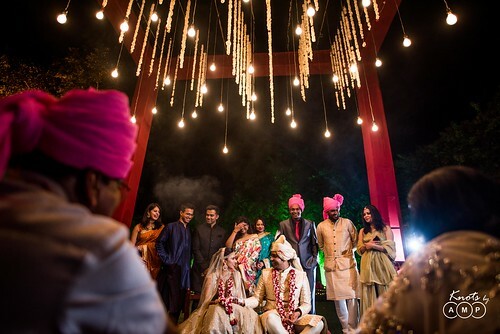 There were fireworks as the jaimal happened & the wedding happened late evening under the stunning dreamy light decor. 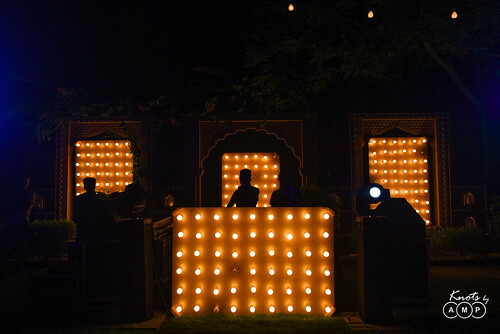 Credits to R19 Entertainment for the fabulous decor. 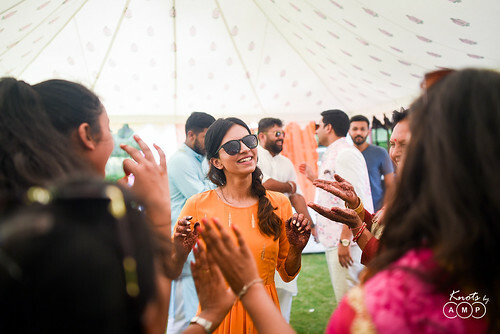 Most importantly, have fun. The madness can get to you but you will miss it when its done. 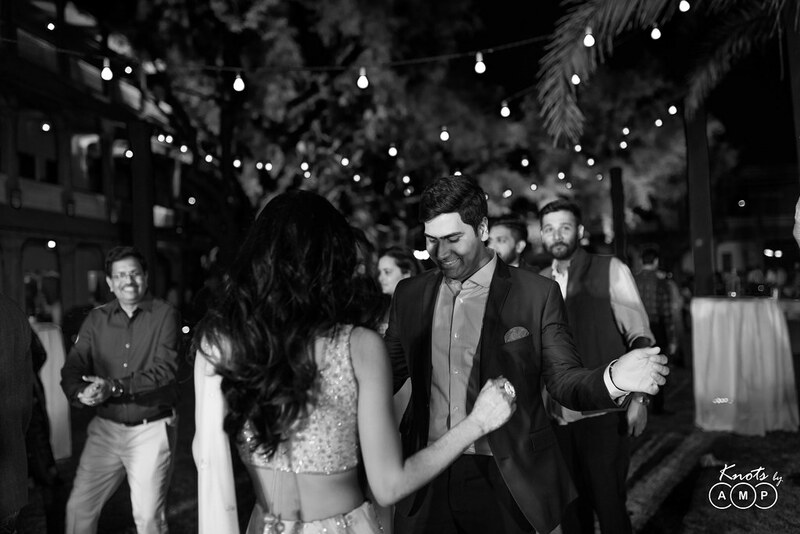 Weddings are a proof that happiness is possible if you create it with all your hearts & love, and that’s what we have to say for this wedding. 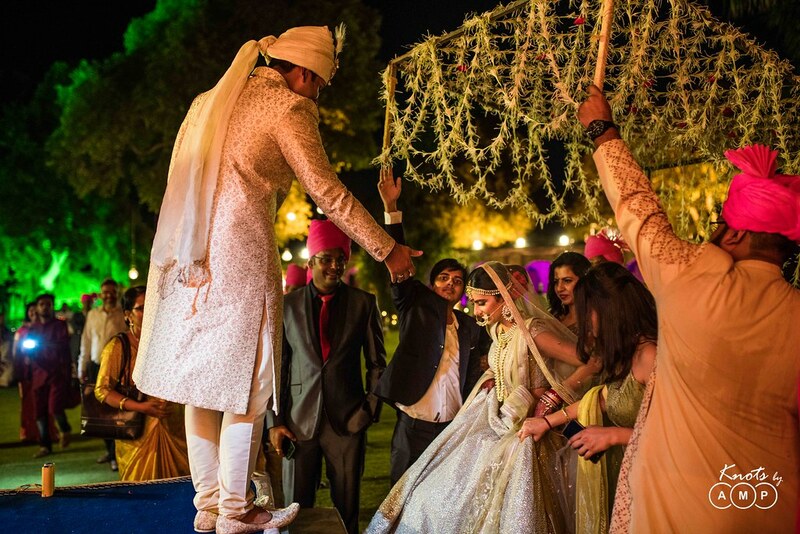 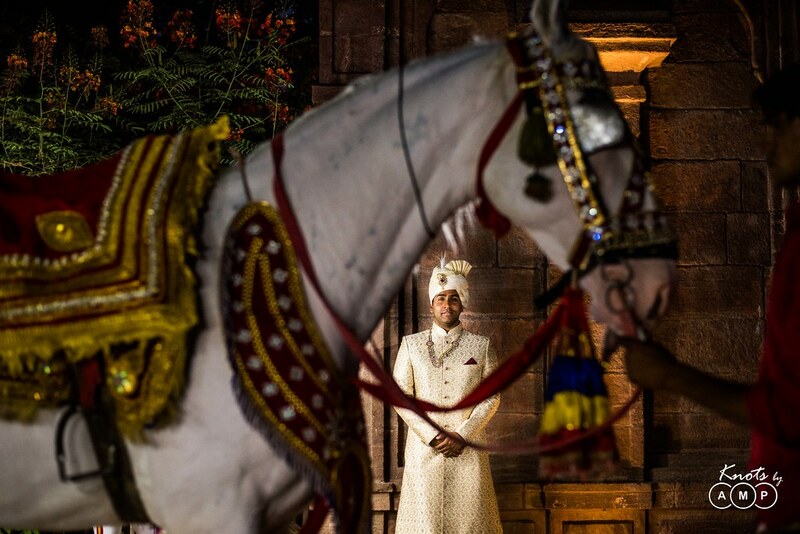 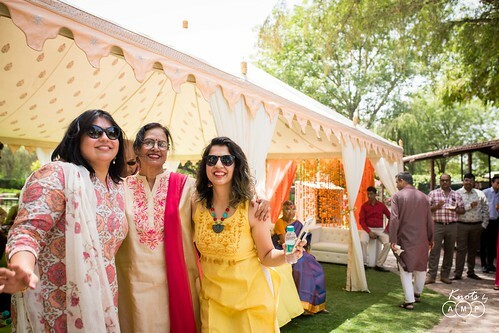 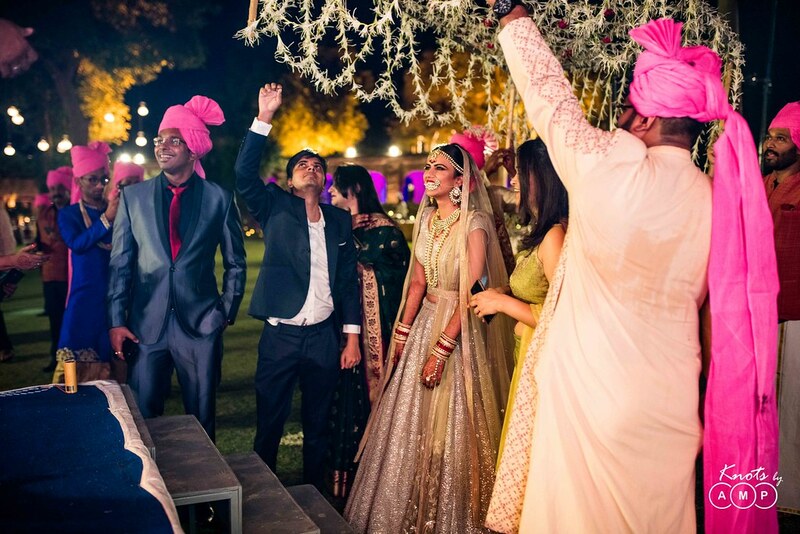 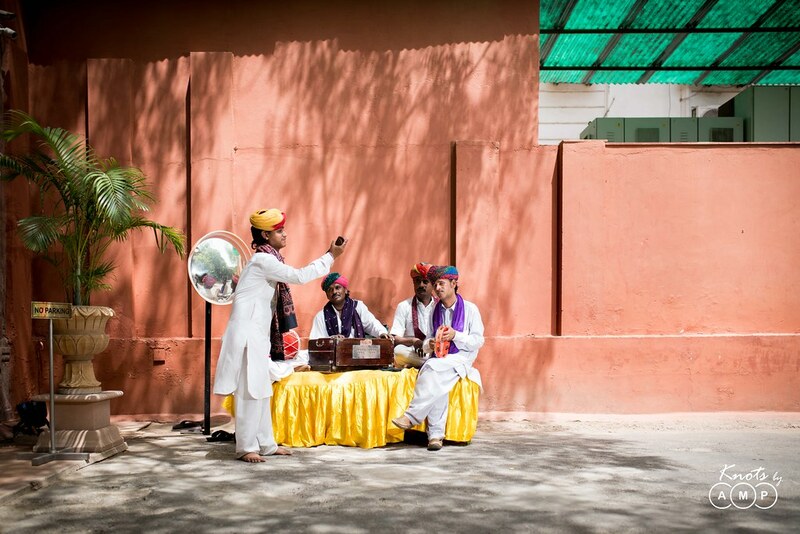 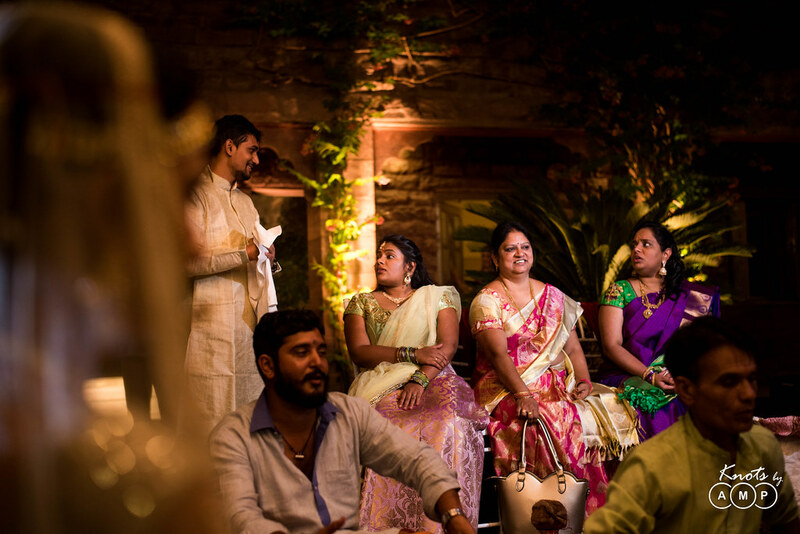 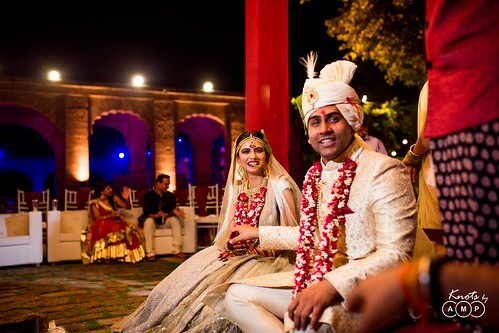 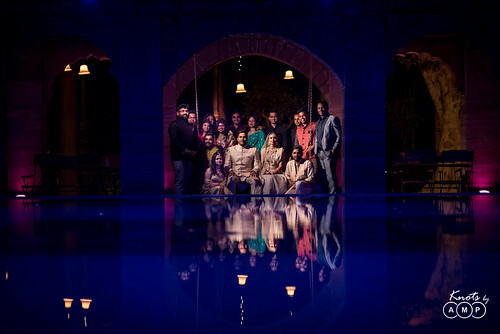 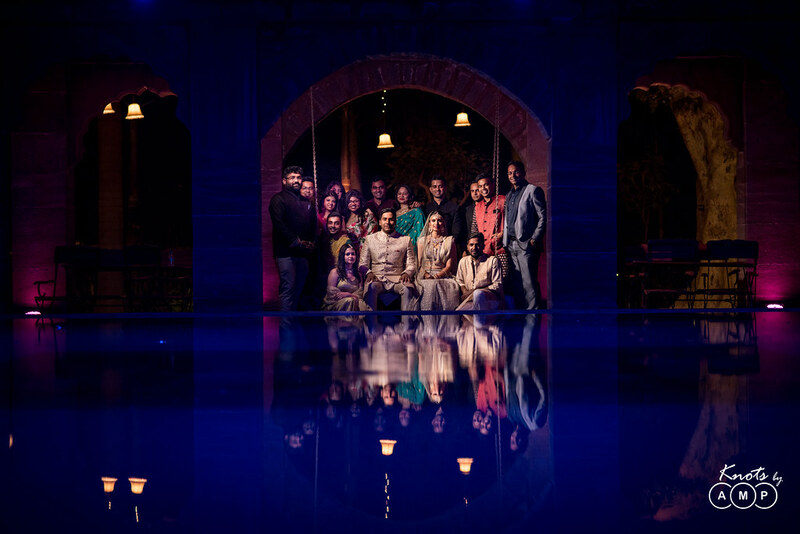 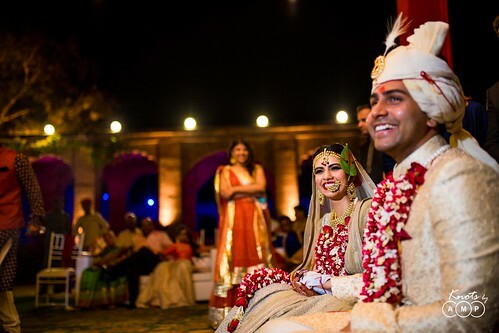 It was absolutely magical, and even days after getting back from Jodhpur, we were hungover with this palace wedding. 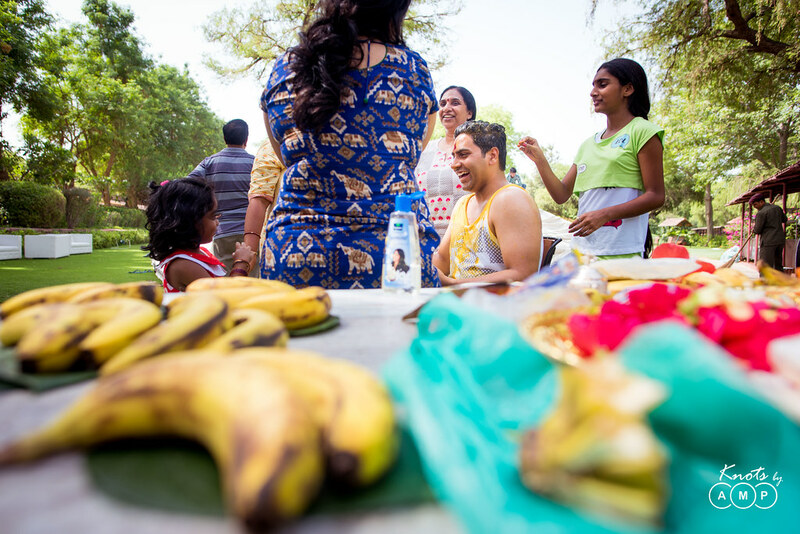 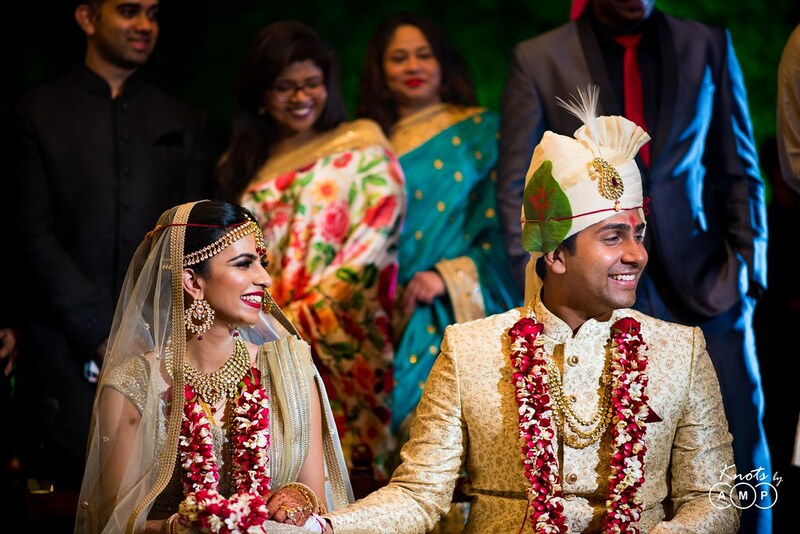 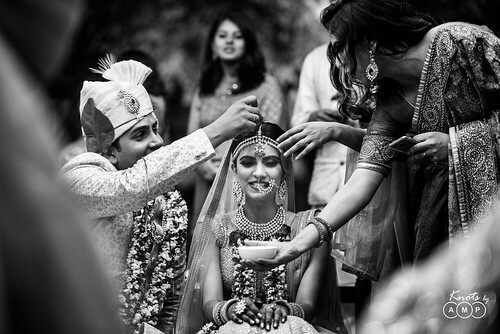 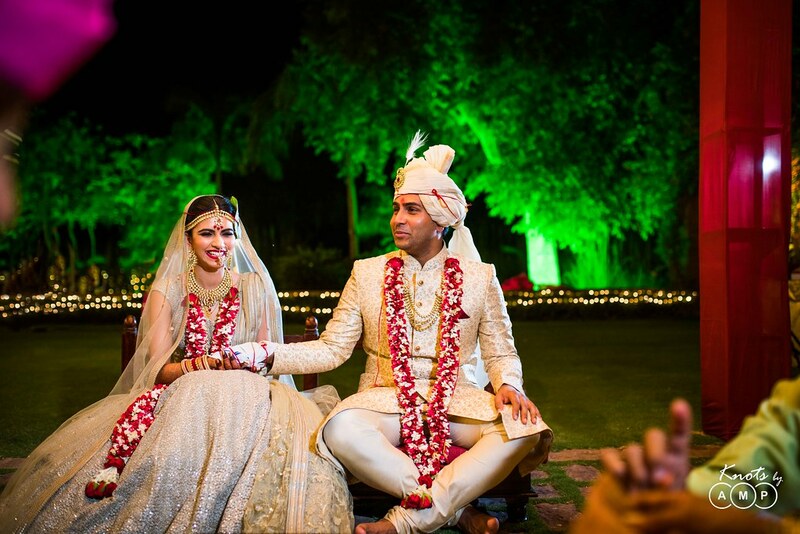 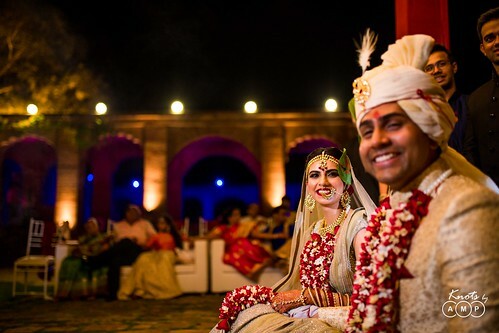 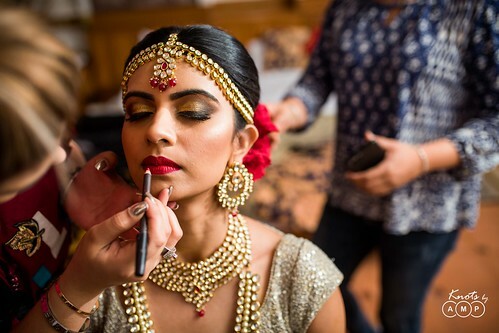 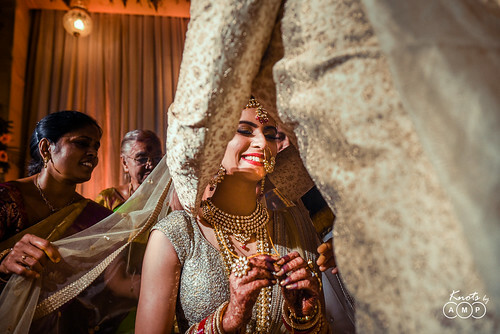 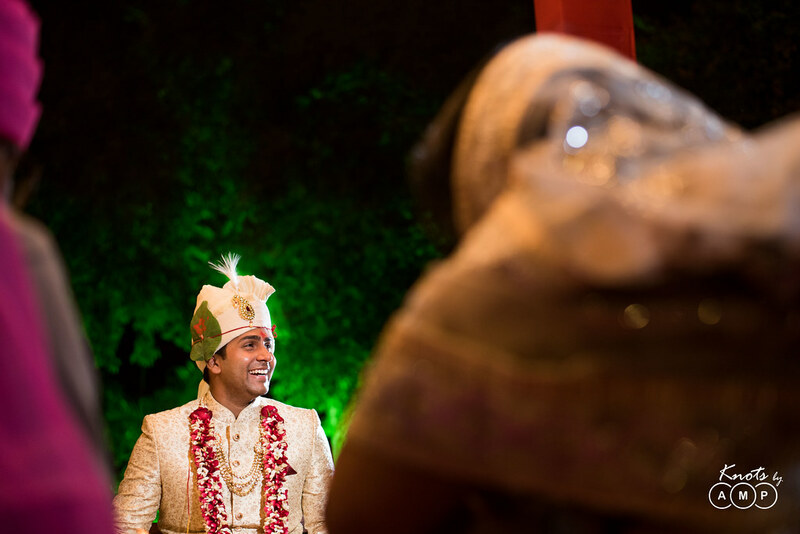 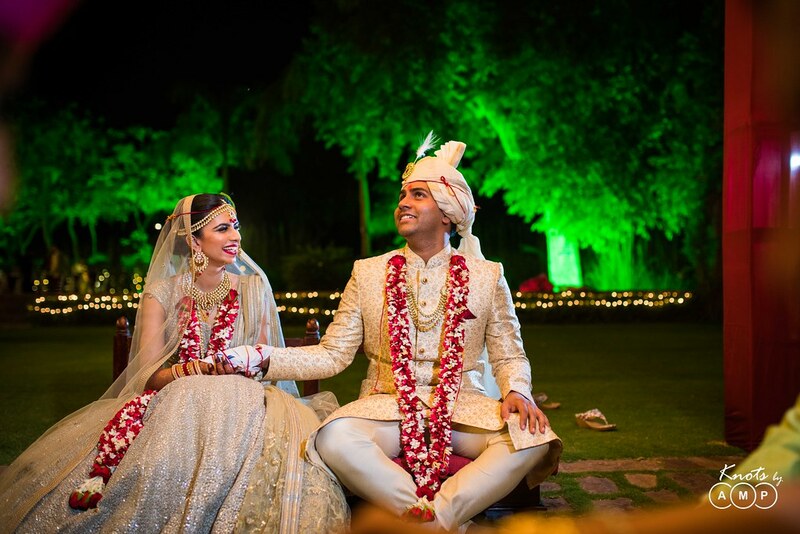 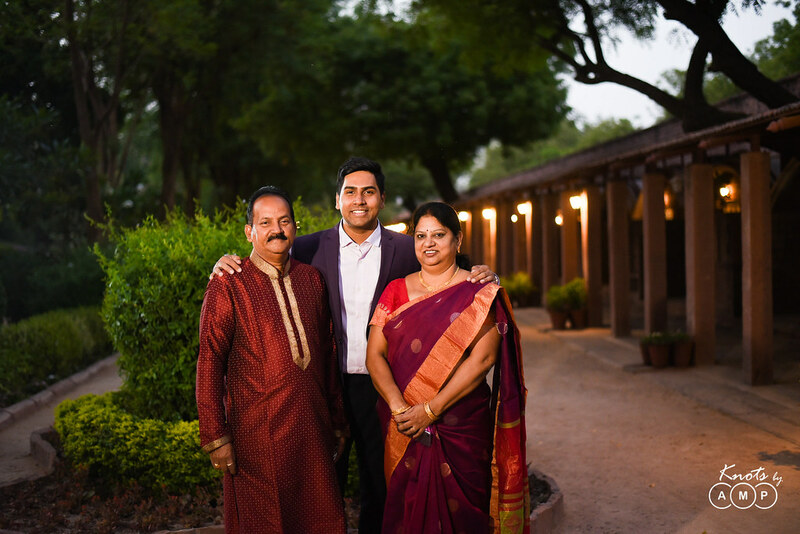 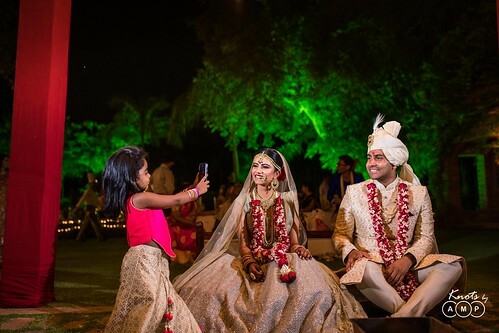 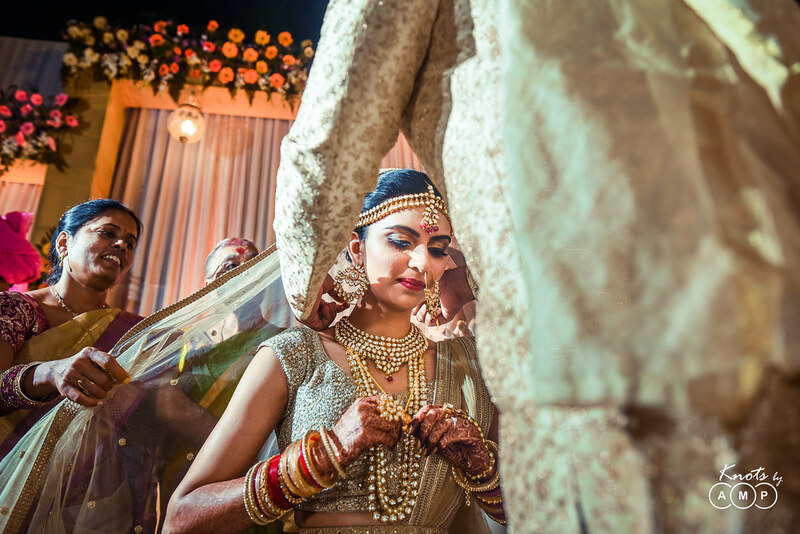 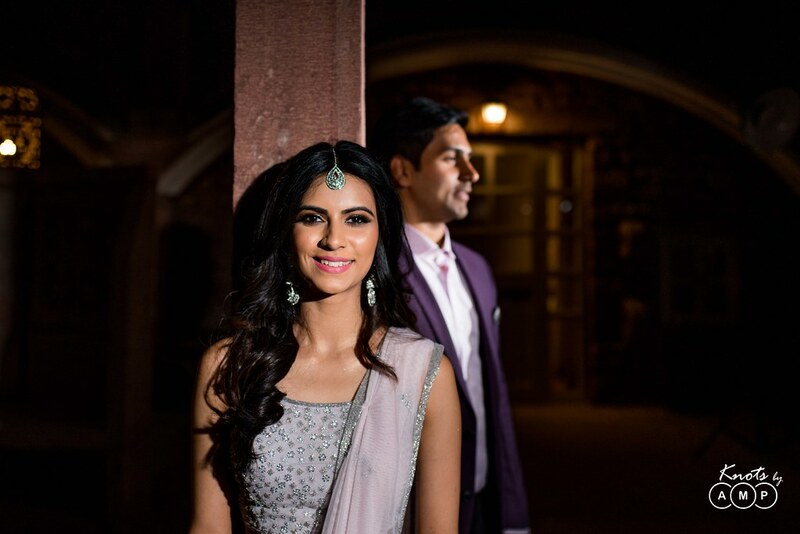 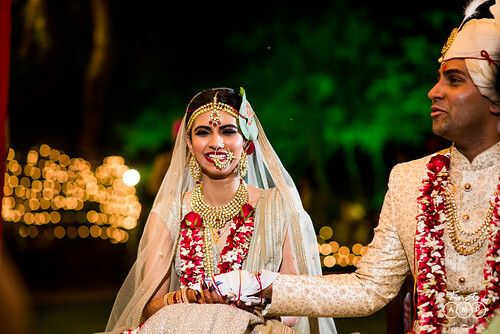 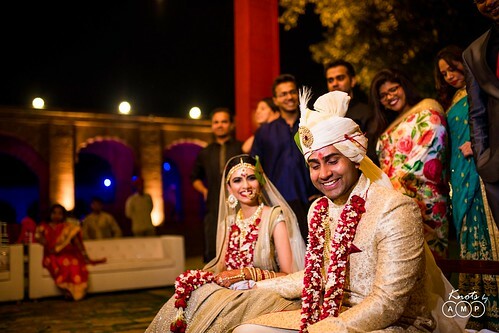 Thank you Richa & Abhilash for being so warm and letting us document your special memories!